Today, we held the 2018 World Chinese Doctors Annual Conference and the Internet Medical and Quality Improvement Summit Forum in Qingdao. We received strong support from leaders, experts, colleagues and friends from all walks of life. Vice Minister Tan Tianxing of the Central United Front Work Department visited the meeting to give guidance. Director Ma Xiaowei of the National Health and Health Commission sent a congratulatory letter. On behalf of the World Chinese Medical Doctors Association, I would like to extend my warmest congratulations to the successful convening of this conference! I would like to express my heartfelt thanks to the leaders, academicians, guests and friends from all walks of life who have come to the meeting! To the Chinese doctors from all over the world, I would like to extend a warm welcome! The Association follows the relevant legal requirements of the countries where Chinese and Chinese doctors are located, operates legally in accordance with the principles of international NGOs, and establishes and improves various rules and regulations including the articles of association. The Board of Directors has improved the coordination of work, membership development, external publicity, financial supervision and other mechanisms, and achieved standardized management. Up to now, the association has established professional committees such as cardiovascular, oncology, nutrition, male, laboratory and pathology, anesthesia, maternity, neurosurgery, nephropathy and Chinese medicine, and patient safety and medical quality committees. The World Chinese Pediatrician Branch, Dermatologist Branch, Emergency Physician Branch, and Smart Medical Committee will also be established during this annual meeting. With the continuous increase of the secondary institutions of the association, the number of members joining the conference has been effectively promoted to grow steadily and rapidly. 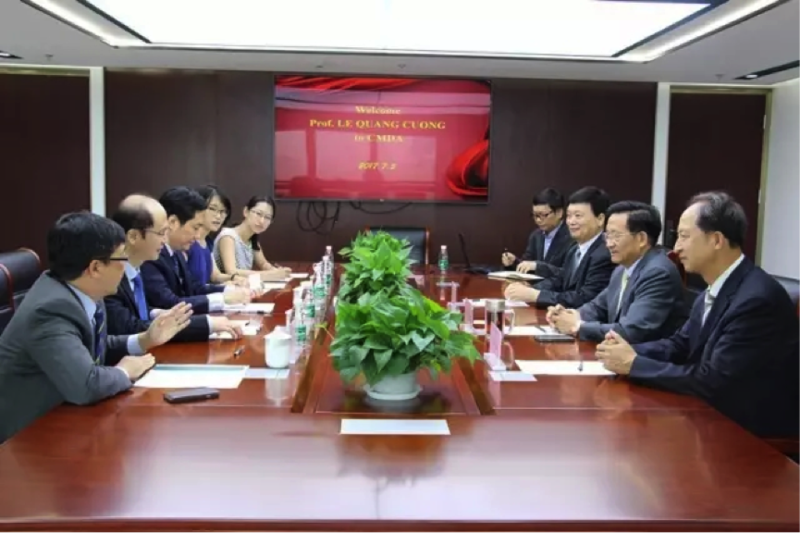 With the support of the state and relevant administrative departments of Shandong Province and Qingdao City, the Association established a representative office in mainland China in Qingdao in April 2017, becoming the legal representative office of the Association on the mainland. According to the provisions of the Law on the Administration of Domestic Activities of Non-Governmental Organizations Outside the People’s Republic of China promulgated by the Ministry of Public Security, the Association can rely on the Qingdao Representative Office to conduct business activities independently in mainland China. This is the earlier organization established by the Standing Committee of the National People’s Congress after the review and adoption of the Foreign NGO Management Law in 2015, and it is also an emerging form of organization in the field of international public service management. Chinese doctors from all over the world have fully utilized their own advantages and carried out extensive business exchange activities. American Chinese practicing physicians actively help mainland China to train residents, specialists, nutritionists and patients in safety and medical quality; Chinese Hong Kong and Taiwan doctors assist mainland to promote general practitioner training and family doctor contracting services; Canada, UK, Australia The Chinese doctors and Chinese medical institutions have carried out in-depth technical cooperation. Under the coordination of the World Chinese Medical Doctor Association, the Royal College of Obstetricians and Gynecologists and the Chinese Medical Association signed a memorandum of cooperation on training of obstetricians and gynecologists, and launched the first batch of China. Physician training in the UK; World Chinese Cardiologists Association cooperated with the Chinese Medical Doctor Association to carry out the “Belt and Road” cardiac intervention training program; World Chinese Physician Association assisted Ciming Group Hainan Reproductive Medicine Center project to actively promote the artificial intelligence medical project into China Major medical institutions. In order to strengthen the connection between Chinese doctors and realize the sharing of information resources, we actively combine traditional media, new media and self-media to build a media platform to better serve Chinese physicians. 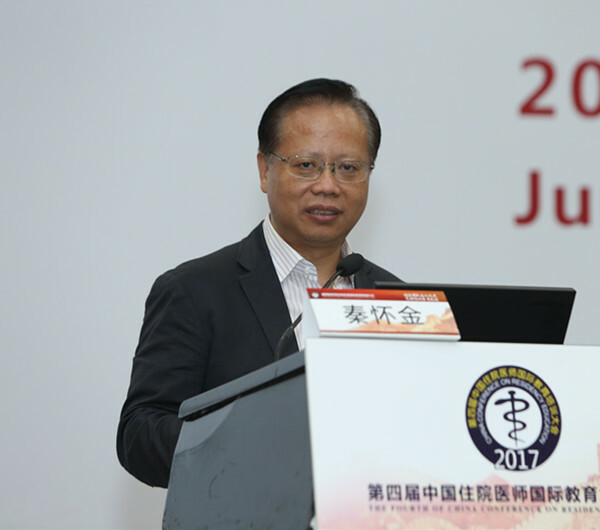 The World Chinese Physician Magazine was officially launched in Macau in 2016. The magazine has been issued seven issues so far and has received wide acclaim. The association created the official website and the WeChat public account, and also linked the websites of the Chinese Medical Association and the WeChat public account of the United States, Canada, etc., and established a global circle of friends to create a global circle of friends for the Chinese doctors around the world. A harmonious, positive and upward communication atmosphere. 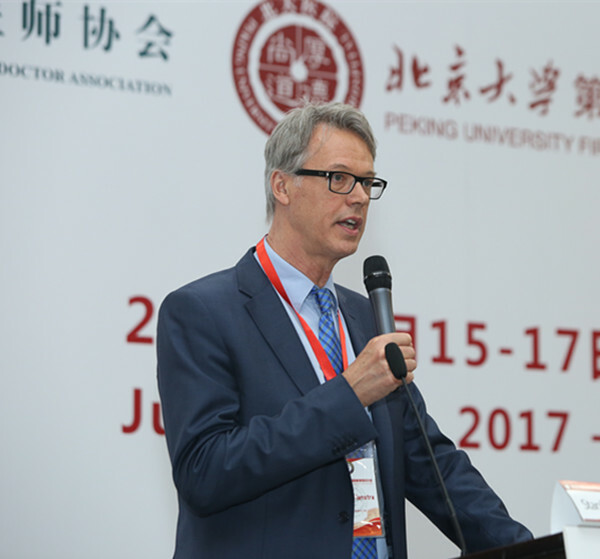 In 2015, 2016 and 2017, the Association held high-level annual conferences on different topics in Beijing, Stanford University and Qingdao. The theme of each meeting was novel and the content was brilliant, and an international brand meeting with scale, characteristics and influence was formed. 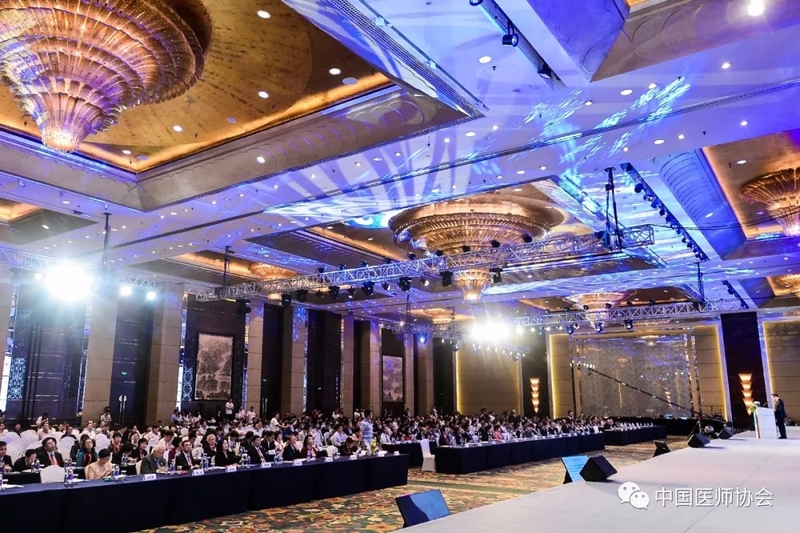 This year’s Qingdao annual meeting was completed, and more than 1,000 people from inside and outside the country attended the ceremony. The theme of the conference is “Internet Medical and Quality Improvement”. Through the main venue report and 10 sub-forums, many well-known experts and scholars share the opportunities and challenges facing the world medical development, and how to make full use of the Internet to improve the quality of medical services. To promote research and discussion on hotspots and difficult issues such as the sharing and sharing of health and health services, and intelligent convenience. At this conference, we will also present the first “World Outstanding Chinese Physician Huo Yingdong Award”. This is the only and highest honor award of the World Chinese Physician established by the Board of Directors. It is the award of the outstanding Chinese leader Mr. Huo Yingdong, supported by the Huo Yingdong Foundation. Every year, we commend ten Chinese doctors who have both ability and political integrity and who have made great contributions in their posts. 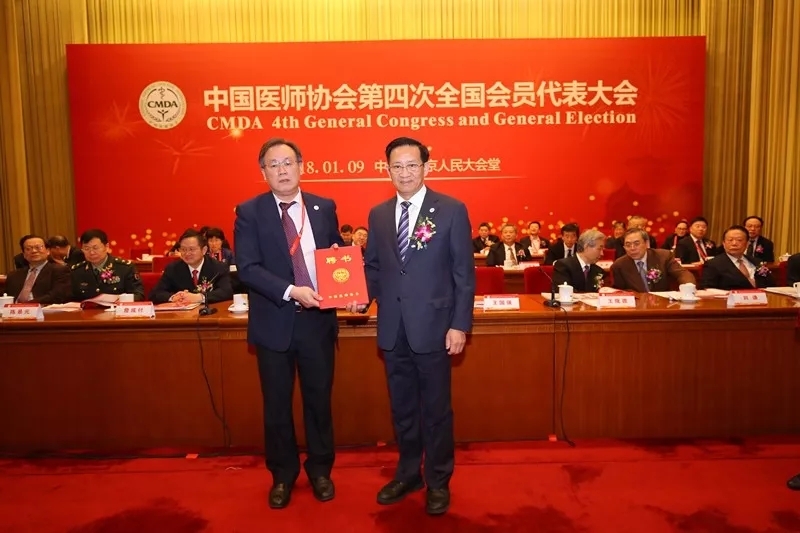 On May 19, 2018, we held a re-election meeting of the Board of Directors and the Board of Supervisors in Macau, the birthplace of the World Chinese Medical Doctor Association. According to the regulations, we successfully elected a new member of the Board of Supervisors and Supervisors, and held the second director. The first working meeting will be held to brainstorm and discuss the future development of the association. In the past four years, the work of the association has achieved fruitful results. This is inseparable from the support and guidance of the central and local governments, and it is inseparable from the hard work of the experts. Here, I would like to thank the Central Government’s Liaison Office in Macao, the Macao Special Administrative Region Government, the Macao Health Bureau, and the Macao Practitioners Western Medicine Association for their support. Thanks to the Shandong Provincial Government and the Qingdao Municipal Government for the establishment and annual meeting of the Association Representative Office. 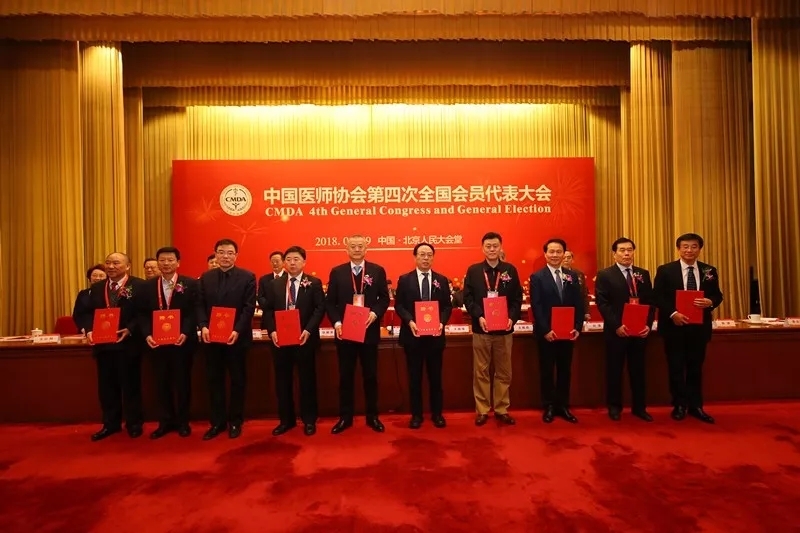 Strong guidance and assistance given to settle down; thanks to the leaders of the National Health and Health Commission and the Overseas Chinese Affairs Office of the State Council, they have provided guidance and support to the annual meeting several times during their busy schedule. Thanks to the American Chinese Practitioners Association, the North American Medical Association, the Canadian Canadian Medical Association, the Australian Australian Chinese Medical Association, and the Taiwan Chinese Huaxia Medical Association and other organizations for their active participation and participation; thanks to the United States, Canada, Australia, the United Kingdom, Singapore Experts from all over the world spare no effort to contribute to the association’s work. Thanks to Baiyang Pharmaceutical Group for its comprehensive support to the association’s work. Thanks to Ciming Group, Shandong Xiangyu Industrial Group, Beijing Shanshui Wenyuan Group and other enterprises for the development of the Association. Great help. Dear delegates, ladies and gentlemen: On August 19, 2016, the Party Central Committee and the State Council held the National Health and Wellness Conference for the first time in Beijing, and put forward the general guidelines for health and health work in the new era, which clearly stated that people’s health should be placed. The strategic position of priority development. At the conference, Xi Jinping, the general secretary of the CPC Central Committee, made an important speech. He pointed out that health is an inevitable requirement for promoting the all-round development of human beings, a basic condition for economic and social development, an important symbol of national prosperity and national prosperity, and also a broad mass. The common pursuit of the people. Without the health of the whole people, there will be no comprehensive well-being. As the guardian of the people’s health, doctors are the main force driving the construction of a healthy China. On November 3, 2017, the State Council approved the August 19th of each year as the “Chinese Physician’s Day.” The establishment of the “Chinese Physician’s Day” reflects the great importance attached by the party and the state to the cause of health and health, and is the recognition, care and encouragement of the doctor community. On the day of the “Chinese Physician’s Day” this year, the Chinese Medical Doctors Association held a grand celebration in the Great Hall of the People. National leaders and leaders of relevant government departments visited the meeting to celebrate the festival with doctor representatives from all over the country and advocated further social progress. Form a fashion that respects doctors and cares for doctors. First, give full play to the strength of overseas Chinese physicians and actively participate in China’s health and health. Chinese doctors living overseas, who uphold the excellent Chinese cultural traditions and master the advanced medical technology of the time, the secondary institutions of the association should conduct research to understand the status and appeals of Chinese physicians in this discipline, the profession and the local domain. China’s physician training, disease prevention, health management, chronic disease prevention and medical science and other aspects actively promote the participation and cooperation of overseas Chinese physicians, so that overseas Chinese doctors can better reflect value and achieve a win-win situation in serving the people of the motherland. The second is to expand the liaison area and strengthen the unity and cooperation of Chinese doctors along the “Belt and Road”. The China-Africa Cooperation Forum has just concluded in Beijing. The Chinese government has proposed eight major actions in the future. This is the deepening and expansion of the “Belt and Road Initiative” initiative. The “Belt and Road” initiative originated from China and belongs to the world. 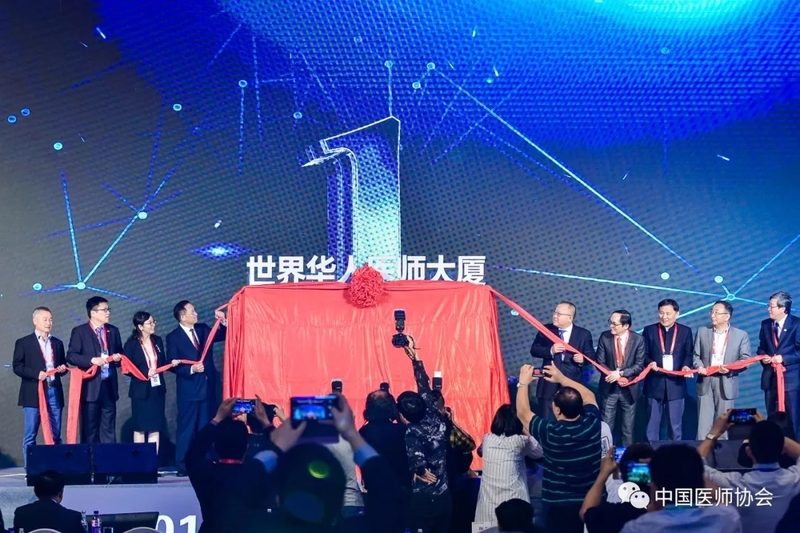 Now it has changed from initiative to action, from concept to practice, becoming the world’s largest international cooperation platform and the most popular international public product. “People’s Hearts” is one of the main contents of the “Belt and Road” construction, and health issues are the first demand of people’s lives. We should actively explore channels and strengthen along the “Belt and Road” with Central Asia, West Asia, Eastern Europe and even Africa. The liaison between Chinese doctors in the country, looking for opportunities for cooperation, achieving practical results, and contributing to the call for the “One Belt, One Road” national initiative. The third is to seize new opportunities and keep up with the development trend of “Internet medical health”. In April this year, the General Office of the State Council issued the “Opinions on Promoting the Development of “Internet Medical Health”.” The “Opinions” release a number of “encourage signals” from the three aspects of service system, support system, industry supervision and security assurance, allowing the development of Internet hospitals based on medical institutions, making full use of Internet technology to provide convenient services for patients. We have the resources of experts all over the world, can do a lot of work for the country “Internet medical health”, introduce mature experience and technology into the country; can also rely on Internet hospitals to carry out diagnosis and treatment services for patients; also can use remote networks Participate in or undertake medical service activities. The fourth is to further strengthen the management of the association and standardize business activities. Adhere to the scientific management meeting in accordance with the law, continue to improve the management system of the association, and ensure that all work has rules to follow. Adhere to the strict regulation of financial supervision of business activities. Adhere to the close cooperation with the Chinese Medical Doctor Association, so that the exchange and cooperation projects of Chinese doctors in the world in the mainland will be better implemented. Dear delegates, the development of the World Chinese Physician Association already has the advantages of time, place and people. Let us join hands and make persistent efforts to promote the work of the Association. Finally, I wish this annual meeting a complete success. In the next three days, it is the traditional Chinese Mid-Autumn Festival. I wish all my colleagues a happy, healthy and happy holiday! Tan Tianxing, deputy director of the Central United Front Work Department, Zhang Yanling, president of the Chinese Association of Chinese Physicians, president of the Chinese Medical Association, Li Mingzhu, ombudsman of the International Cooperation Department of the State Health Care Commission, and He Wenge, deputy director of the former Ministry of Political Affairs and Law, Shandong Provincial Foreign Affairs Office Wu Guan, deputy director, Sun Chunling, director of Shandong Provincial Administration of Traditional Chinese Medicine, Fu Xin, deputy mayor of Qingdao, and academician Lang Jinghe, academician Chen Hongxuan, academician Liao Wanqing, academician Chen Xiangmei, and academician He Jie attended the opening ceremony. 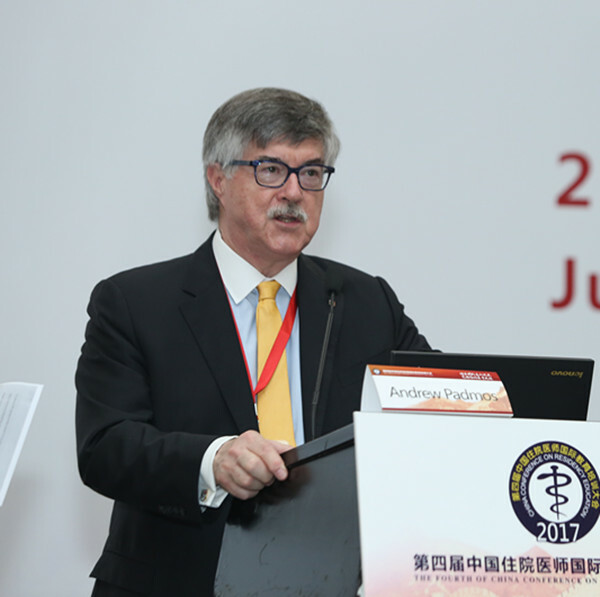 More than 1,000 physician representatives from the Macao Practitioners Association, the American Chinese Practitioners Association, the North American Medical Association, the Canadian Canadian Medical Association, the Taiwan Chinese Huaxia Medical Association, and the Australian Chinese Medical Association, as well as major medical institutions in China, attended the event. Cooperation and cooperation. The opening ceremony was hosted by CCTV anchor Zhang Hongmin. 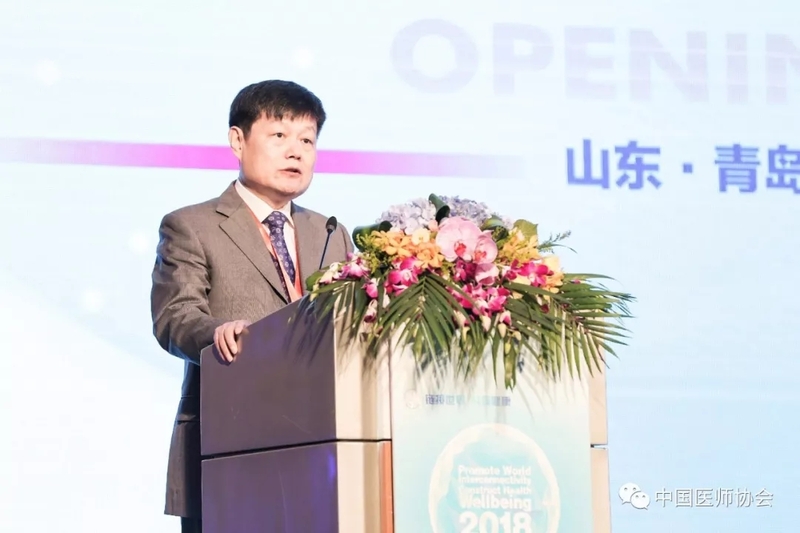 Li Mingzhu’s Ombudsman read out the important instructions given by the Director of the National Health and Health Commission, Ma Xiaowei, to this conference. At the opening ceremony of the conference, Li Mingzhu, the ombudsman of the International Cooperation Department of the National Health and Health Commission, read out the important instructions given by the Director of the National Health and Health Commission, Ma Xiaowei, to this conference. Vice Minister Tan Tianxing, Chairman Zhang Yanling, Director Sun Chunling, Vice Mayor Fu Xin and others led the speech. 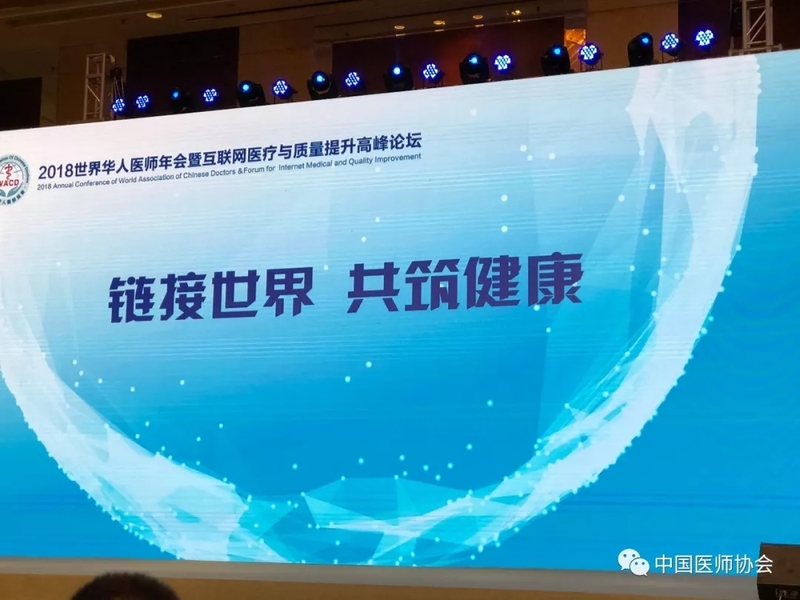 Academician He Jie, He Baohong, Director of Cloud Computing and Big Data Research Institute of China Information Research Institute, Professor Lin Junlong and Professor Cheng Genhong from overseas experts gave keynote speeches. The meeting established a number of sub-forums such as “Inspection Forum”, “Anesthesia Forum”, “Nutrition Forum” and “Smart Medicine”. Many well-known experts and scholars of this conference shared the opportunities and challenges facing the world medical development from a multi-disciplinary and multi-angle perspective. 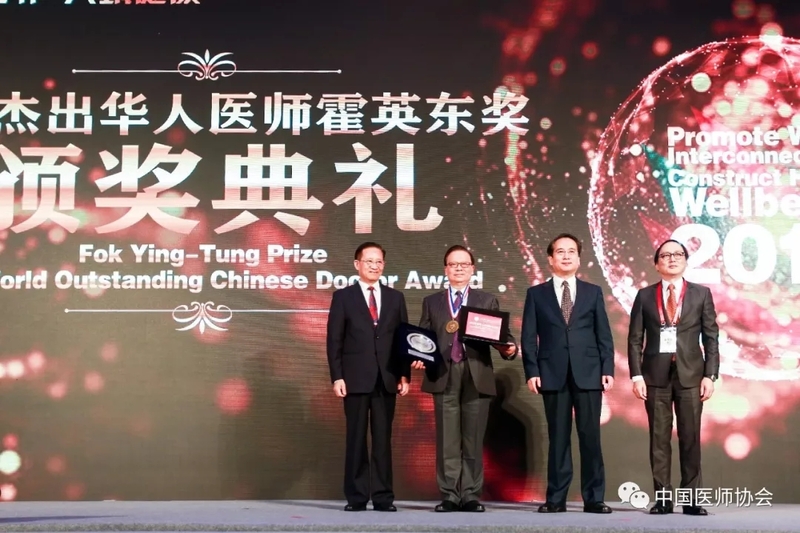 At the opening ceremony, the “World Outstanding Chinese Physician Huo Yingdong Award” was also presented. 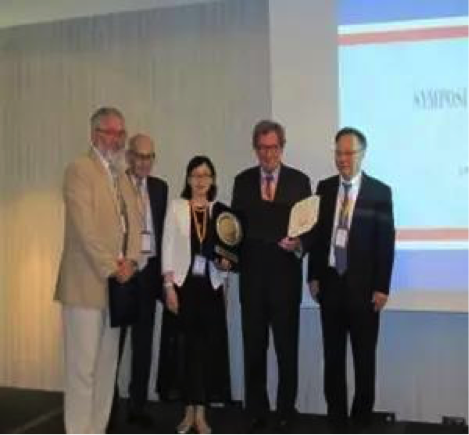 The award was initiated by the World Chinese Doctors Association Council. It was named after Mr. Huo Yingdong, the world’s leading Chinese leader. 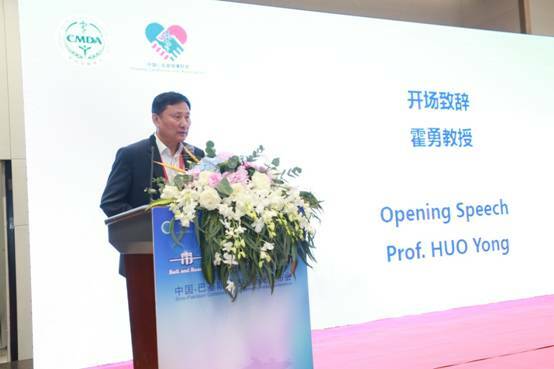 The Huo Yingdong Foundation funded the world’s highest award for Chinese physicians. It aims to recognize outstanding representatives of Chinese physicians and encourage more Chinese physicians to contribute to the health of the people of the world and further enhance the recognition and support of Chinese doctors in their countries and regions. The first 10 award-winning physicians were: Lang Jinghe, Chen Hongyu, Chen Xiangmei, Ye Chunyu, Lin Junlong, Li Zhaoping, Zuo Zhiyi, Lu Futai, Yang Guang, Guan Yulian. 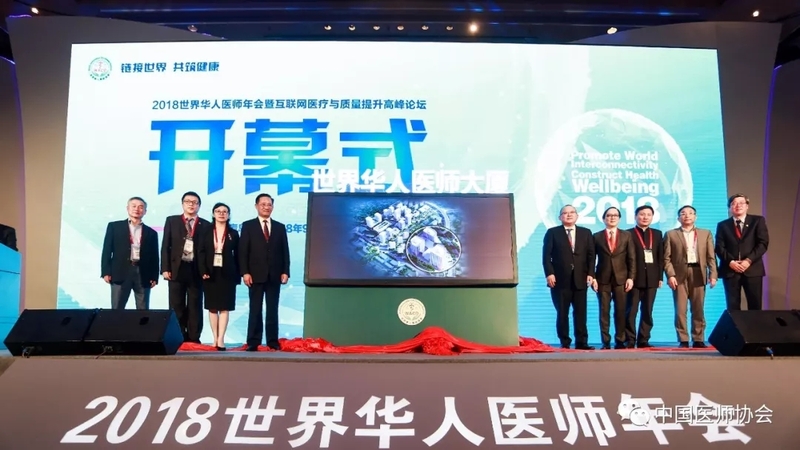 In the same period of the meeting, under the common witness of everyone, the World Chinese Physician Association general practitioner training base was unveiled at Qingdao Municipal Hospital; the World Chinese Medical Doctor Building to be established was unveiled. The World Chinese Physician Building will be located in the Qingdao Health Industry Park. 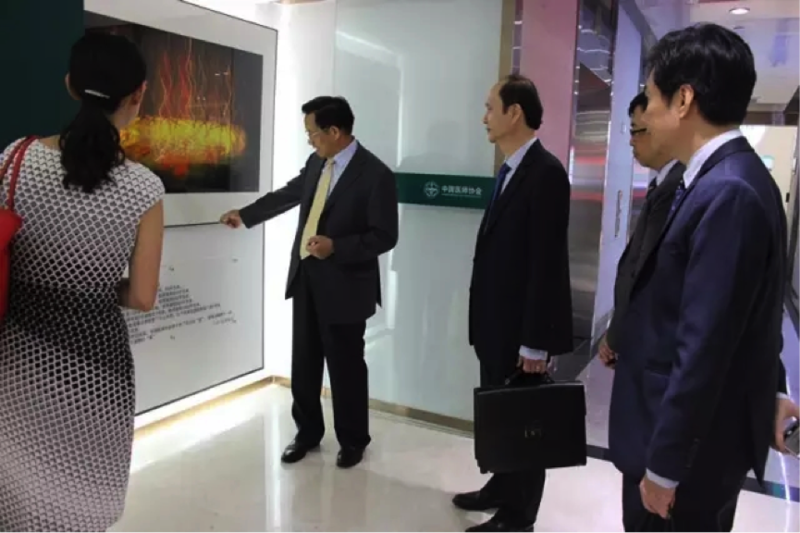 As a Chinese physician’s home, it will provide a warm and comfortable office environment for Chinese physicians, and help Chinese doctors to better conduct academic exchanges and scientific research cooperation in China. 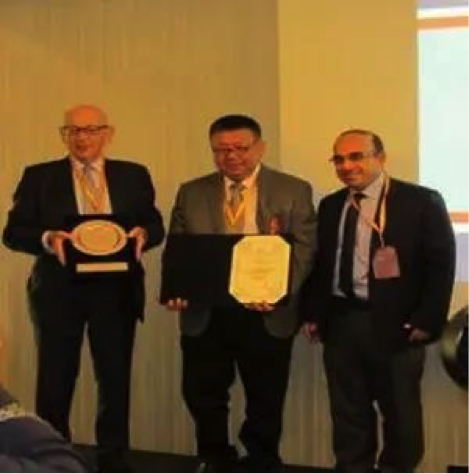 The World Chinese Paediatricians Association, Dermatologist Association, Emergency Physician Association, and Smart Medical Committee were also established at the annual meeting; the World Chinese Oncologists Association held a re-election meeting. 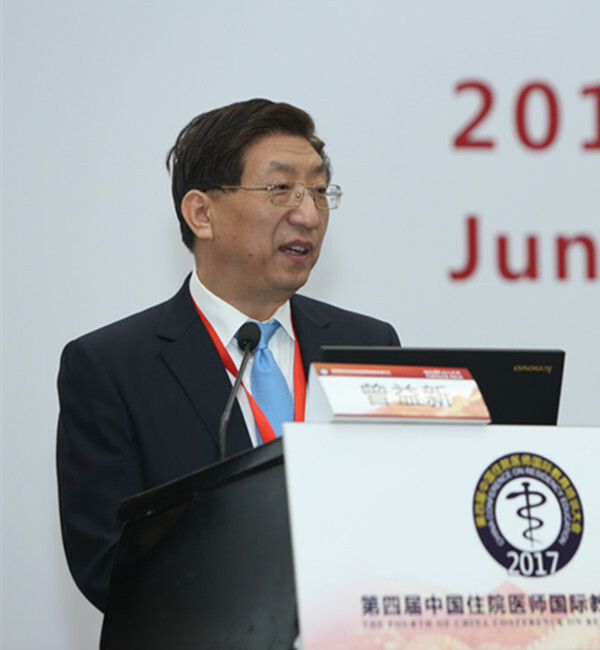 The one-and-a-half-day meeting opened up a broader space for Chinese physicians to display their talents and realize their ideals. They have made positive contributions to the integration and development of the world’s medicine, and screamed the slogan of “Linking the World and Building Health Together”. Vice Minister Tan Tianxing also investigated the overseas Chinese work during the Qing Dynasty. The World Chinese Physician Association was initiated by a Chinese physician organization in 13 countries and was established on September 21, 2014. Since then, Chinese doctors in the world have their own homes and have their own communication platform. President Zhang Yanling of the Chinese Medical Doctor Association, as the president of the World Chinese Medical Doctor Association, adhering to the purpose of “unity service, communication and coordination, exchange and cooperation”, has established a platform for communication, coordination, exchange and cooperation for Chinese doctors around the world. It is the link between the Chinese doctors in various countries. 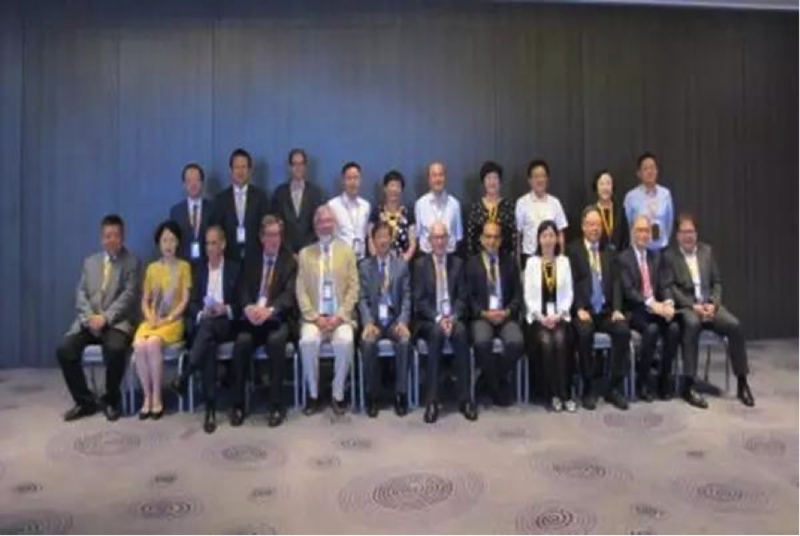 The World Chinese Physician Association was established in Macau on September 21, 2014. It is an international, academic, and non-profit organization co-sponsored by Chinese medical groups in 13 countries. The World Chinese Physician Association aims to provide unity, communication, coordination and exchanges. By connecting Chinese doctors and Chinese physician organizations around the world, we will integrate the world’s Chinese medical resources, enhance mutual medical exchanges and cooperation, and contribute to the development of Chinese medicine and even the world’s medicine. The World Chinese Physician Association adheres to uniting the world’s Chinese physicians, strengthens communication and cooperation with each other; learns from advanced medical practice and physician industry management experience, promotes professionalism; exchanges learning new medicines, new achievements, and promotes medical technology improvement and medicine. Transformation of results; work guidance and communication and coordination for Chinese medical organizations around the world; strengthen external publicity, enhance the pride and honor of Chinese physicians; care for and help medical and health work in backward countries or regions; and strive to improve Chinese physicians The level of clinical practice and professional ethics promotes the improvement of medical health and services for all. The establishment of the World Chinese Physician Association will provide a new platform for communication, coordination, communication and cooperation for all Chinese physicians. 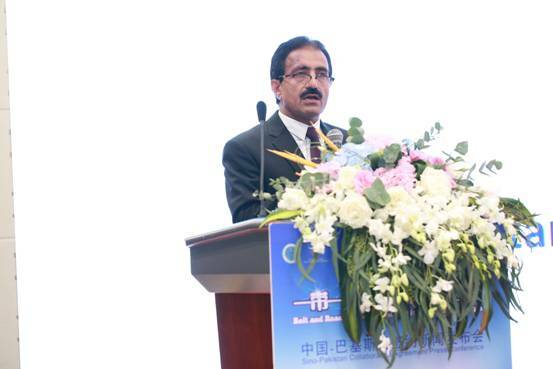 On the afternoon of September 6, 2018, the Chinese Medical Doctor Association, the China Cardiovascular Health Alliance, and the Pakistan Interventional Cardiology Society jointly held a press conference for the signing of the “Belt and Road” cardiac intervention training program in Hangzhou. Shi Liying, deputy secretary-general of the Chinese Medical Doctor Association, academician of the Chinese Academy of Sciences, director of the Department of Cardiology, Zhongshan Hospital, Fudan University, Ge Duobo, vice chairman of the China Cardiovascular Health Alliance, director of the Department of Cardiology, Peking University First Hospital, and Bashir Hanif, President of the Pakistan Interventional Cardiology Society He delivered a speech and participated in the signing ceremony. 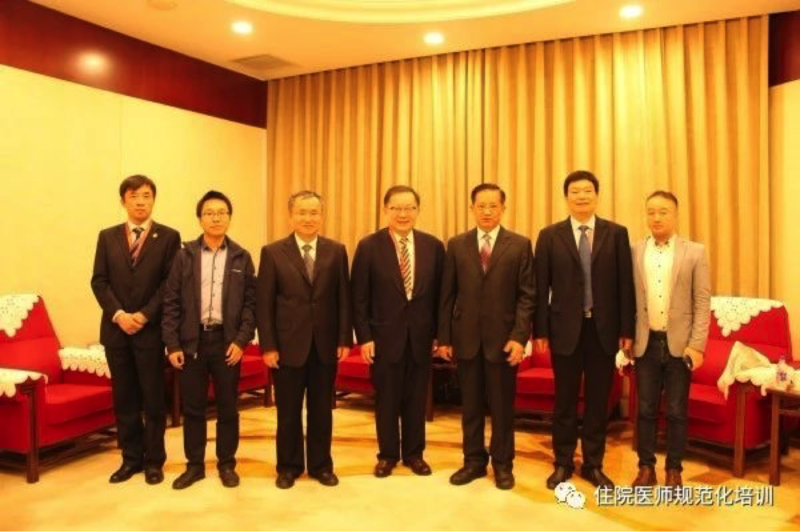 Professor Wang Jianan of the Second Affiliated Hospital of Zhejiang University School of Medicine, Professor Chen Jiyao of Guangdong Provincial People’s Hospital, Professor Li Lang of the First Affiliated Hospital of Guangxi Medical University, Professor Ma Yijun of the First Affiliated Hospital of Xinjiang Medical University, Professor Wang Weimin of Peking University People’s Hospital, Shanghai Chest The only professor in the hospital, Professor Wang Lefeng from Beijing Chaoyang Hospital, Professor Zhou Yujie from Beijing Anzhen Hospital affiliated to Capital Medical University, Professor Liu Qiang from Shenzhen Sun Yatian Cardiovascular Hospital, Professor Qiu Chunguang from the First Affiliated Hospital of Zhengzhou University, and representatives from the media attended the meeting. meeting. 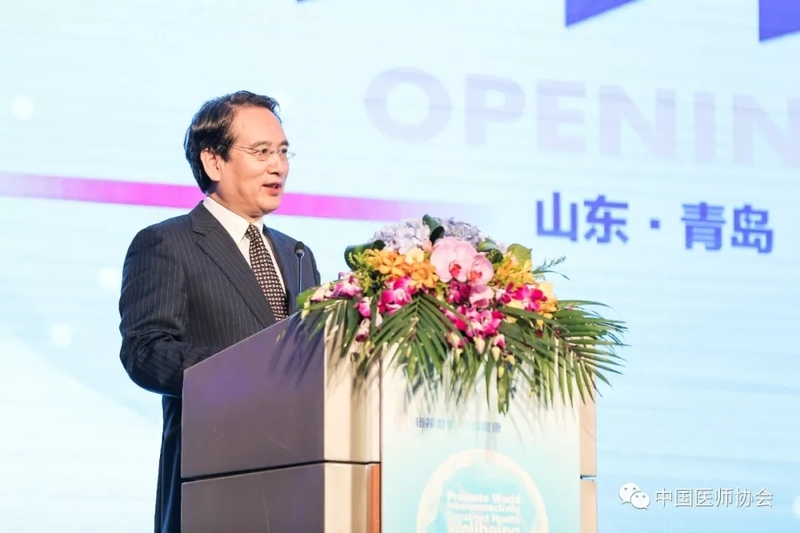 In his speech, Professor Huo Yong said that after more than 30 years of rapid development, China has made remarkable achievements in the cardiovascular field, especially in interventional therapy. In response to the National “Belt and Road” initiative and the National Health and Health Commission’s “One Belt, One Road” health exchange and cooperation implementation program, the Chinese Medical Association and the China Cardiovascular Health Alliance jointly launched the “Belt and Road” cardiac intervention training program in 2016. Since its inception, the project has received positive response from countries along the “Belt and Road” and has conducted training and cooperation with Indonesia, Kazakhstan, Bangladesh, Nepal, Mauritius, South Africa, Japan, Hong Kong and Macao. With the joint support and efforts of the leaders and experts, the project has trained more than 100 foreign and foreign doctors and carried out a variety of academic exchange activities, which have played an important role in promoting the development of the discipline and achieved fruitful results. Results. We have signed cooperation agreements with Indonesia and Kazakhstan at the level of national associations. Today’s signing of press conference activities marks the official entry of the project into Pakistan. Deputy Secretary Shi Liying delivered a speech on behalf of the Chinese Medical Doctor Association. She pointed out that the “Belt and Road” is a road to cooperation and win-win for common development and common prosperity. It is a road to peace and friendship that enhances understanding and trust, strengthens all-round exchanges, and interconnects with neighboring countries. Seeking common development is the future. trend. The “One Belt, One Road” cardiac intervention training program aims to promote the improvement of professional and technical skills of cardiovascular physicians along the route, promote the capacity building and medical system construction in the health sector along the route, and enable China’s advanced diagnosis and treatment technology and successful management experience to benefit the people along the line. . Strengthening exchanges and cooperation with the health care industry in the “Belt and Road” countries will enhance the friendship between countries and reflect the important mission of China as a responsible big country to the global health and health cause. Professor Bashir Hanif, president of the Pakistan Society for Interventional Cardiology, said that cardiovascular disease is the leading cause of death in Pakistan, but because of the limited number of catheter rooms and specialists, the Pakistani people have not been well treated. In order to meet the needs of the diagnosis, treatment and prevention of cardiovascular disease in Pakistan, it is necessary to provide professional knowledge and technical training for physicians. With the rapid growth in demand for cardiovascular interventions in Pakistan, this project will bring far-reaching benefits to both countries. It will not only improve the professional skills of cardiovascular interventionalists in Pakistan, but will also have a major impact on the treatment of diseases in Pakistan. influences. 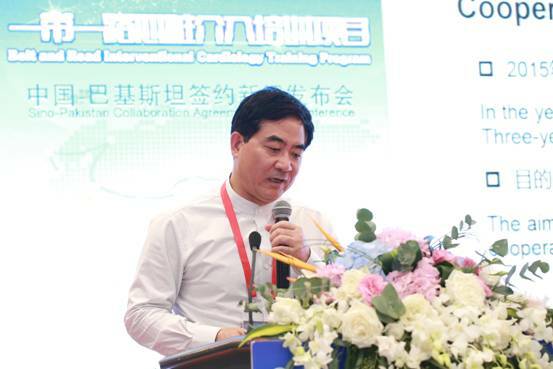 Academician Ge Junbo said in the introduction of project progress and planning prospects that the main form of the “One Belt, One Road” cardiac intervention training program is “inviting and coming out”. On the one hand, recruiting foreign doctors to come to China for training and establishing a short (1 week) -3 months), medium (3-6 months), long-term (6 months-1 years) training program; on the other hand, dispatching Chinese experts to conduct academic guidance abroad, and cooperating with the “Belt and Road” countries Academic events. “There is no distance, and Wanli is still a neighbor!” In the future, we hope to use China’s mature cardiovascular disease prevention system construction experience and advantages in interventional technology to further strengthen cardiovascular and emergency screening and management in countries along the route. Cooperation, and actively carry out special technical training. Finally, the representatives of China and Pakistan signed a cooperation agreement and exchanged souvenirs. Since the launch of the “One Belt, One Road” cardiac intervention training program, the students and the countries along the line have won unanimous praise. The project will continue to adhere to the core values ​​of peaceful cooperation, openness, tolerance, mutual learning and mutual benefit, and explore international health exchanges and cooperation. The methods and models have laid a solid foundation for carrying out a comprehensive international exchange in the cardiovascular field, and made due contributions to promoting the development of health and health in China and countries along the route and creating a “Healthy Belt and Road”. On the morning of April 26, 2018, after the opening ceremony of the 2018 General Physician Training Summit Forum, Zhang Yanling, President of the Chinese Medical Doctor Association, met with Mr. Li Guodong, the President of the World Organization of Family Doctors (WONCA), and held a friendly discussion. 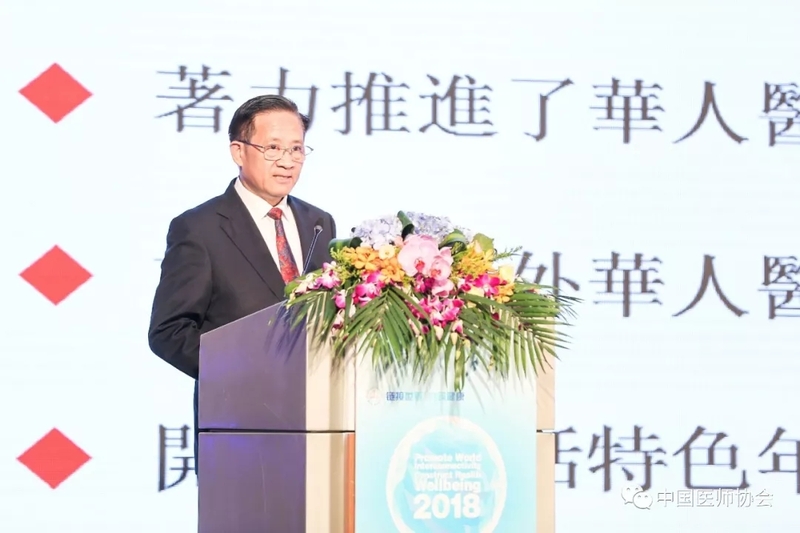 Chairman Li Guodong expressed his congratulations on the successful convening of the “2018 General Physician Training Summit Forum” and introduced the relevant situation of the annual meeting of WONCA. President Zhang Yanling congratulated Mr. Li Guodong on his appointment as Chairman of WONCA and hoped to further promote the cooperation between the Chinese Medical Association and WONCA, establish a regular communication mechanism, promote the development of Chinese general practitioners’ industry, and enhance international influence. 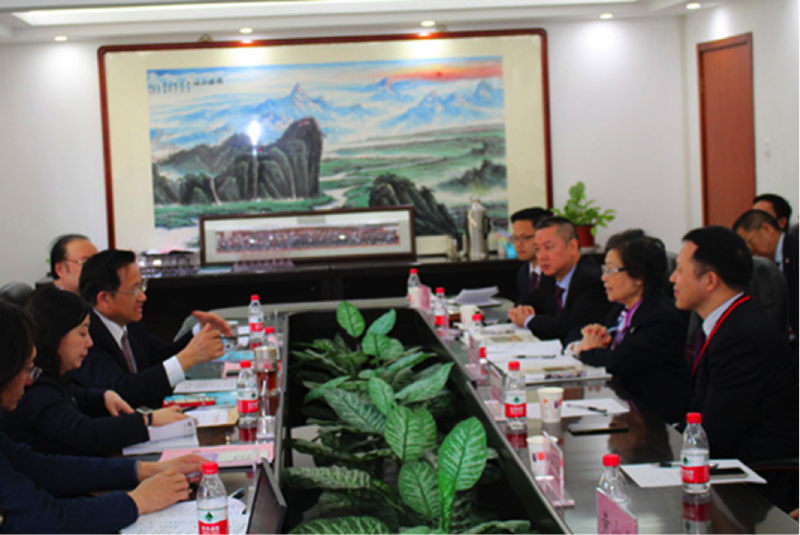 Jin Shengguo, inspector of the Science and Education Department of the National Health and Wellness Committee, Qi Xuejin, Vice President of the Chinese Medical Doctor Association, and Du Xueping, President of the General Practitioners Branch of the Chinese Medical Doctor Association, attended the meeting. 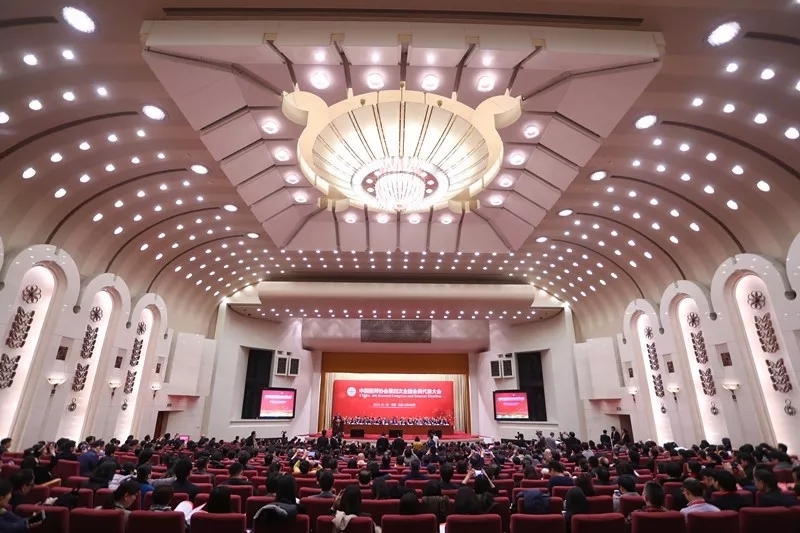 January 9, 2018, the Fourth National Congress of the Chinese Medical Association was held in the Great Hall of the People in Beijing. 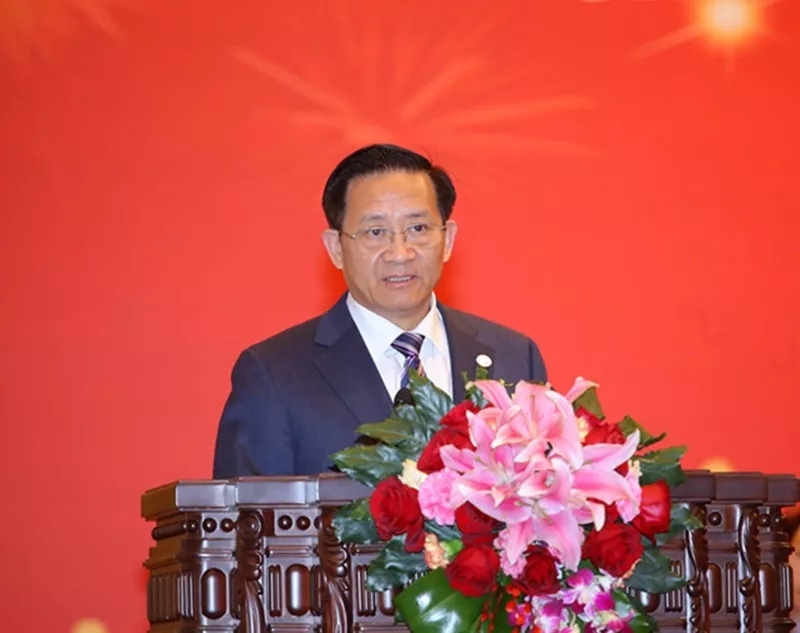 The director of National Health and Family Planning Commission Li Bin read the important instructions made by Vice Prime Minister Liu Yandong for the Congress and made an important speech. 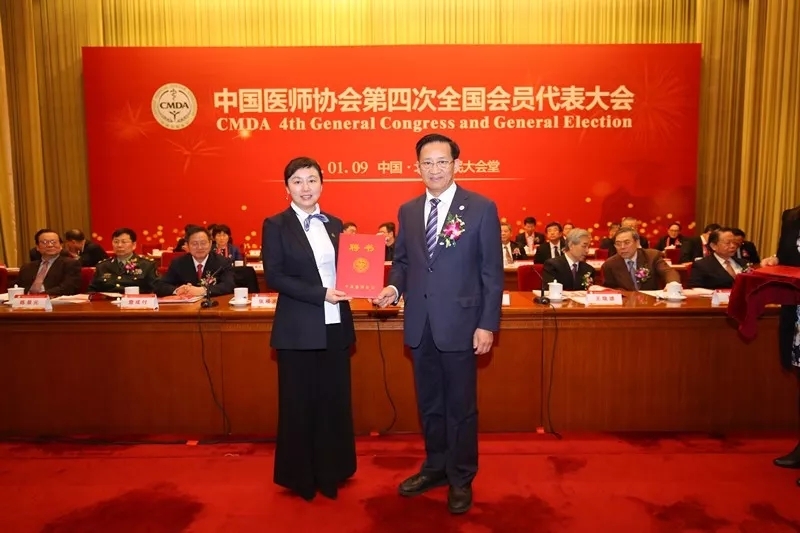 He fully affirmed the work of the third council of the Chinese Medical Association and set forth clear requirements for the work of the Fourth council, and presented Zhang Yanling the letter of appointment of the new president of the council. 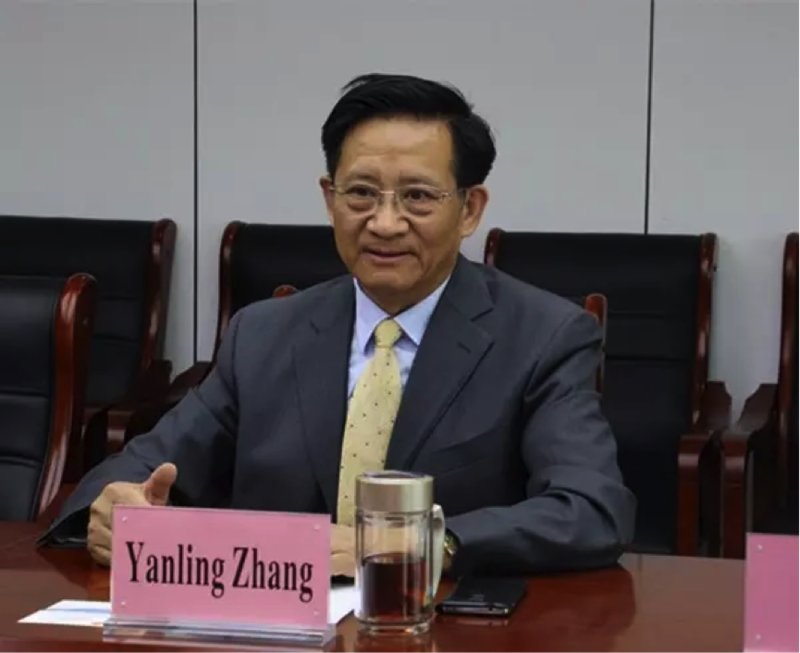 Zhang Yanling, president of Chinese Medical Association, made a work report, systematically reviewing the work of the tThird council, and made important arrangements for the work of the Fourth council. He pointed out that under the leadership of the National Health and Family Planning Commission and the Ministry of Civil Affairs, we will give full play to the functional role of Industry associations and earnestly study and formulate the five-year work plan for the Fourth Council and lead the doctors across the country to embark on the new era planned by the party’s Nineteenth National Congress. Focusing on the overall study and implementation of the 19th CPC National Congress, we will give prominence to the practice of physicians, strengthen the management of physicians, and do well in the three aspects of standardization of residency training, specialist training and accession. We should also implement the eight assignments of exercising self-discipline and rights protection, after-graduation education and training Examinations, primary care education and training, international exchange and cooperation and other work. 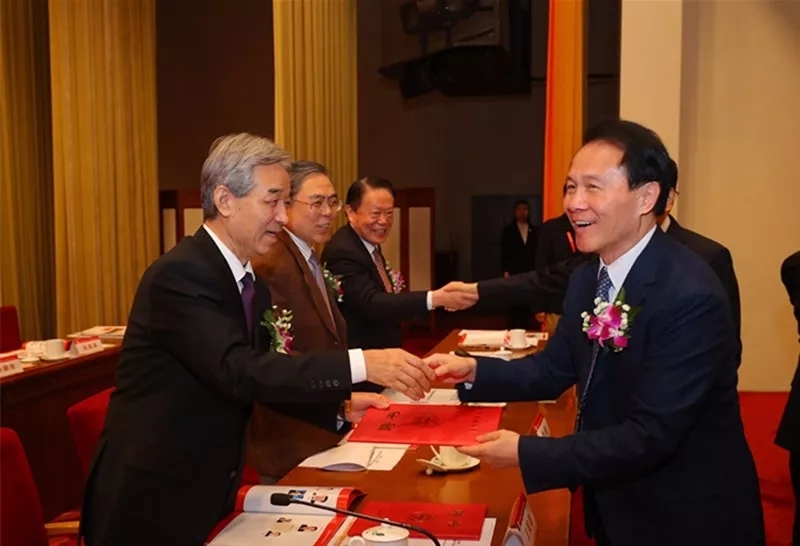 Academician Zhan Qimein, vice president of the Chinese Medical Association, read the congratulatory letters and messages sent by Xu Jialu, former vice chairman of the NPC Standing Committee. 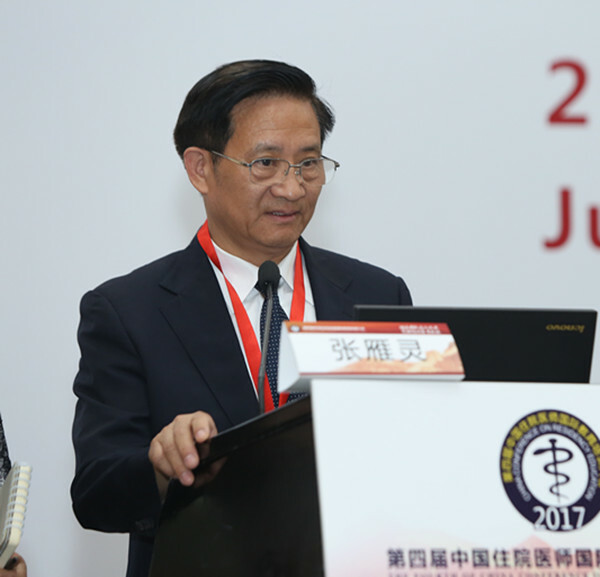 Liu Qian, former deputy director of the National Health and Family Planning Commission and chairman of the Chinese Hospital Association, read the list of members of the leading body of the 4th council of the Chinese Medical Association. 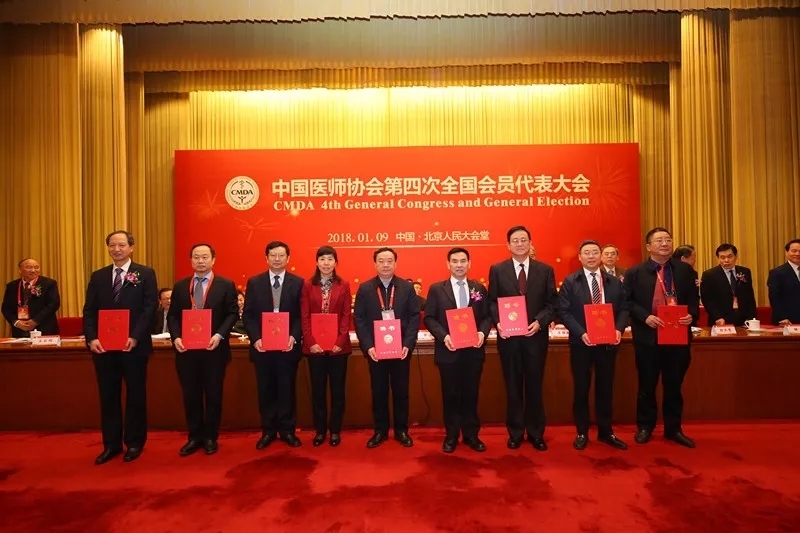 The leaders present at the session presented the letter of appointment of the Vice Chairman of the Fourth Council of Chinese Medical Association to Yang Min, Zhang Zongjiu, Zhan Qimin, Wang Chen, Zheng Shusen, Sun Yinghao, Zhang Shitao, Jiang Yuxin, He Jie, Wu Yiling, Zhang Yingze, Li Junfeng, Sun Hongjun, Wen De Liang, Li Weimin, Zhang Jianning, Zhao Lan, Zhao Xingji, Wu Tangchun. 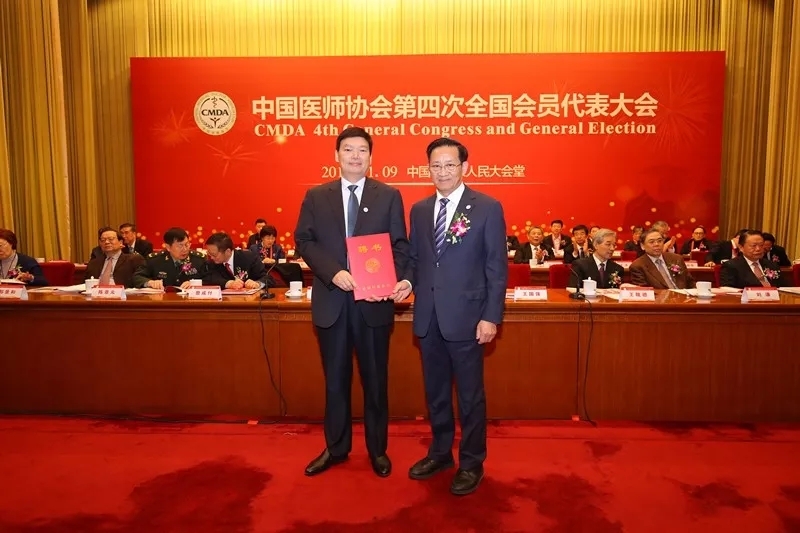 Zhang Yanling, president of the Association, presented the letter of appointment to Qi Xuejin, consultant for the Association, Secretary-General Li Songlin, Deputy Secretary-General Xie Qilin, Shi Liying. Zhancheng Fu, director of the State Administration Bureau for Social Organization , Chen Jingyuan, director of the Health Bureau of the Logistics Department of the Central Military Commission, and Su Zhi, vice president and party secretary of the Chinese Medical Association, addressed the Congress. 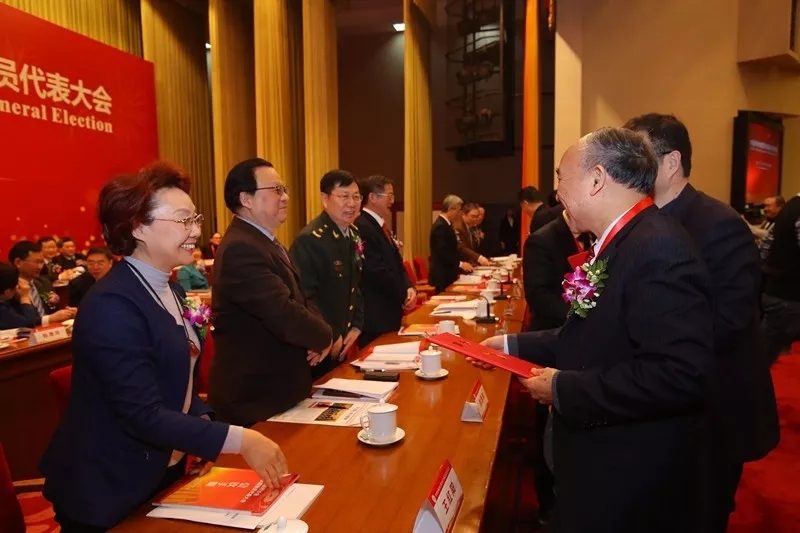 Zhang Zongjiu, director of the Medical Affairs Administration of National Health and Family Planning and Commission , and Chen Jiangsheng, vice president of the Marxist School of the Central Party School, were invited to give lectures for the conference. National Health and Family Planning Commission, the State Administration of Traditional Chinese Medicine, the State Administration for Social Organizations, the Health Devision of Logistics Department of the Central Military Commission, association organizations, over 20 academicians, all the members of the Fourth Council and delegates and reporters from 24 medias, attended the meeting, totaling nearly 700 people. Hosted By the Chinese medical doctor association and The European Society for Blood and Marrow Transplantation (EBMT) the 5th Sino-French Hematology Summit was held in Marseille, France, on June 26, 2017, local time. 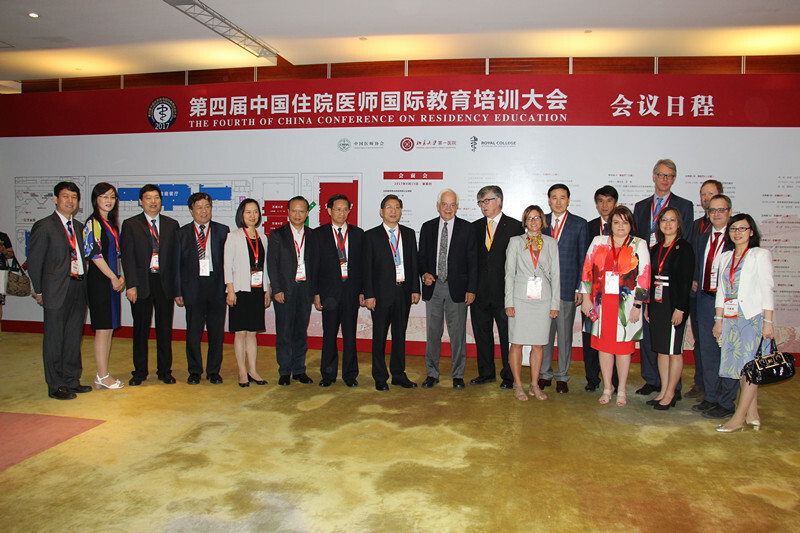 Member of the first hospital affiliated to Soochow University university ChangGeng Ruan, president of China physicians association, and physician branch, professor, vice President and director general Kaiyan Liu, chairman of the European Cooperative Group for Bone Marrow Transplantation Mohamad Mohty professor, chairman of the European Cooperative Group for Bone Marrow Transplantation international committee Norbert Claude Gorin Pauli, marseille university professor Carl matt cancer institute, Patrice Viens professor, as well as the method of the two countries in hematology and guest experts and scholars in the field of nearly hundred people attended the BBS.Director of the office Liying Shi and department of Chinese doctors’ association Gaofeng Ren was invited to attend the meeting. During the forum, experts and scholars from both countries jointly discussed and shared the latest progress and scientific achievements in the field of hematology, and exchanged views on health policy and medical management experience. 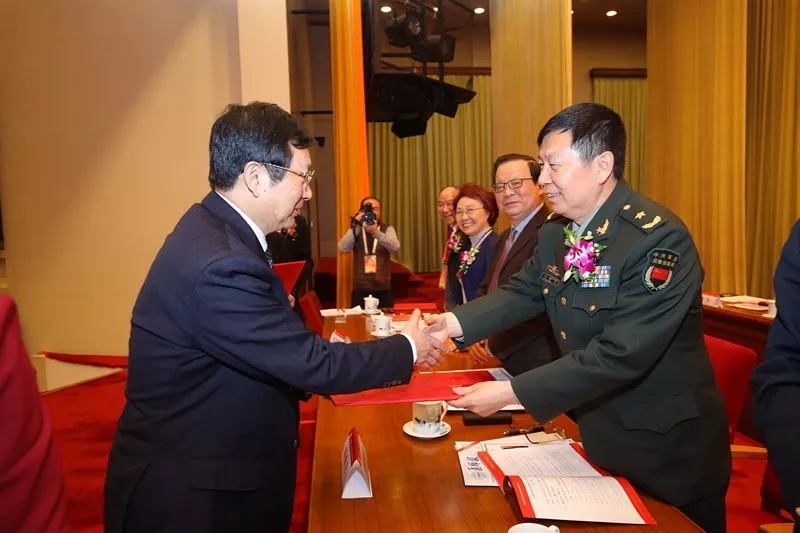 In addition, the forum presented Prof. Hu Chen from the The 307th Hospital of Military Chinese People’s. Thierry Facon from the University of Lille, France, presented the European High Level Professional Award, the 2019 “St. Anthony EBMT Achievement Award” in recognition of their scientific achievements and innovative spirit. 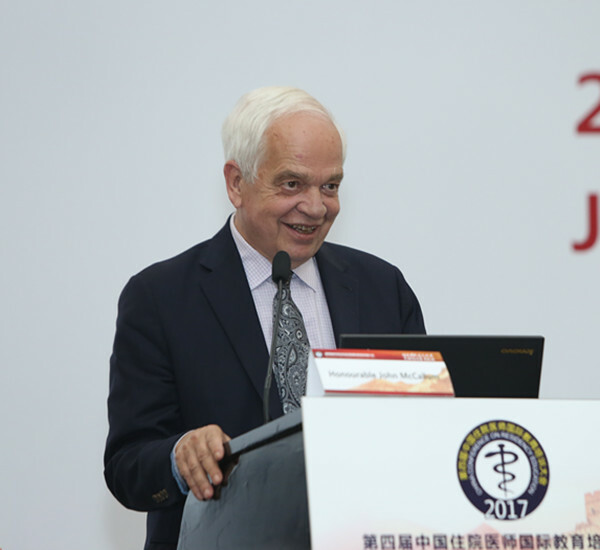 Prof. Jean-Luc Harousseau, former Chairman of the French Higher Health Assessment Agency, awarded the honorary title of “Sino-French Hematology Exchange Excellence in Contribution Award” in recognition of his important contribution and influence over decades to promote the development of forensic medical exchanges. The annual Sino French Summit Forum on hematology held for the first time since 2013, as in France blood circle of friends in scientific innovation, clinical practice and experience sharing, provides an important communication platform, to deepen the Sino-French bilateral academic science and technology, promotes the developments in the field of medical research and so on, has become the method of science and technology is an important part of cultural communication. 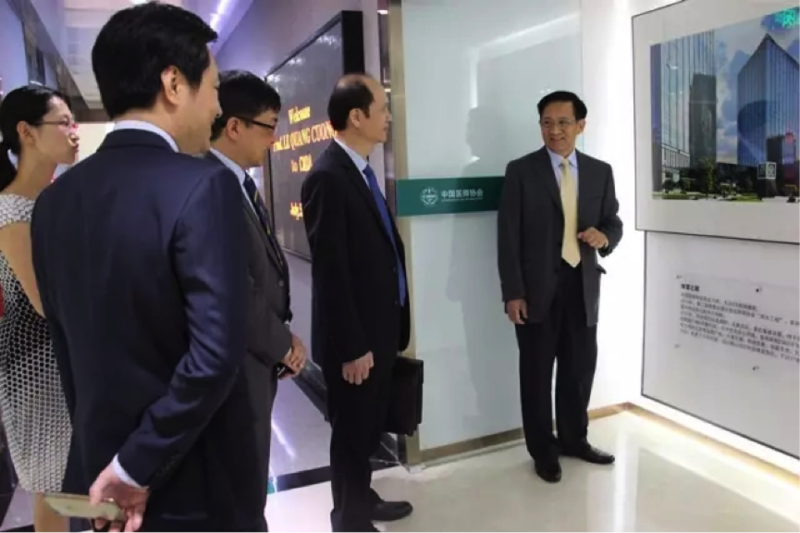 On the morning of July 5, 2017, Vietnam Deputy Minister of Health Guangqiang Li, President of Medical University of Ho Chi Minh City Yejun Chen, chief representative of China Medical Board (CMB) in China Wenkai and associates visited the Chinese medical doctor association (CMDA). On behalf of the CMDA, President Yanling Zhang, executive vice president and secretary general Min Yang and vice president Xuejin Qi nistry extended a warm welcome to Deputy Minister Guangjiang Li and the delegates. 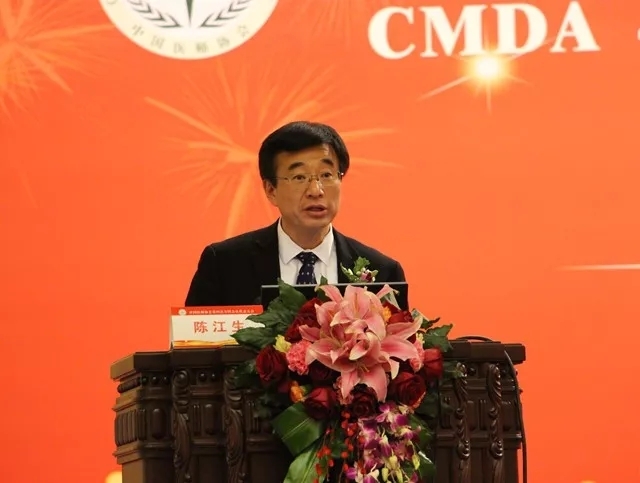 President Zhang said, “the CMDA has been committed to its mandate of ” service, coordination and self-discipline, rights protection, supervision and management ” and providing good services for more than 420 million physicians in China since it was founded 15 years ago. The three main purpose of the CMDA are: 1. To assist the government in the management and service of the doctors’ team, and formulate relevant policies; 2. To train education and regular assessment of doctors after graduation, to make efforts towards admittance and registration management; Third, provide the doctors with rights and self-discipline. The association has set up five major funds to support doctors who need help. Establish a legal team to provide legal assistance to doctors for free; In order to promote the self-discipline of doctors, a doctor’s credit system was established, and a national database was established to improve the level of self-discipline. Mr. Zhang said China attaches great importance to the cultivation of doctors. At the end of 2013, China formally established the resident physician standardized training for this country system. This is a reference to the advanced experience of the United States, Canada and other countries, according to the “China model” formulated according to China’s national conditions. I believe this model will be more mature in a few years. 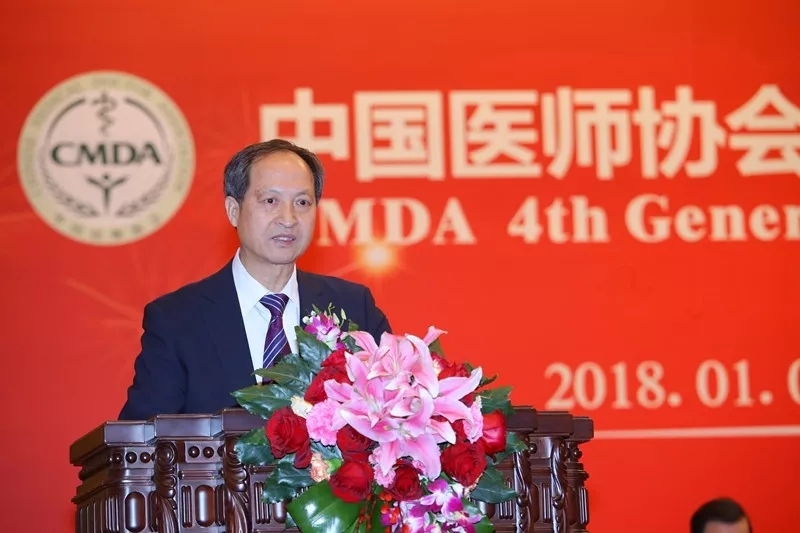 Xuejin Qi , vice President of the CMDA, explained the training methods, program setting, training contents and challenges of continuing medical education after graduation in China. Guangqiang Li, Deputy Minister of Health of Vietnam, asked the association leaders for questions on the establishment and development of the industry organization, the training of doctors and the challenges faced by medical education after graduation.Yanling Zhang and vice President of Xuejin Qi responded to the above questions. Deputy health minister Guangqiang Li thanked the Chinese Medical Doctor Association and was deeply satisfied with the visit. The two sides expressed the need for further exchanges and cooperation on education after graduation, so as to promote the development of education in the two countries. 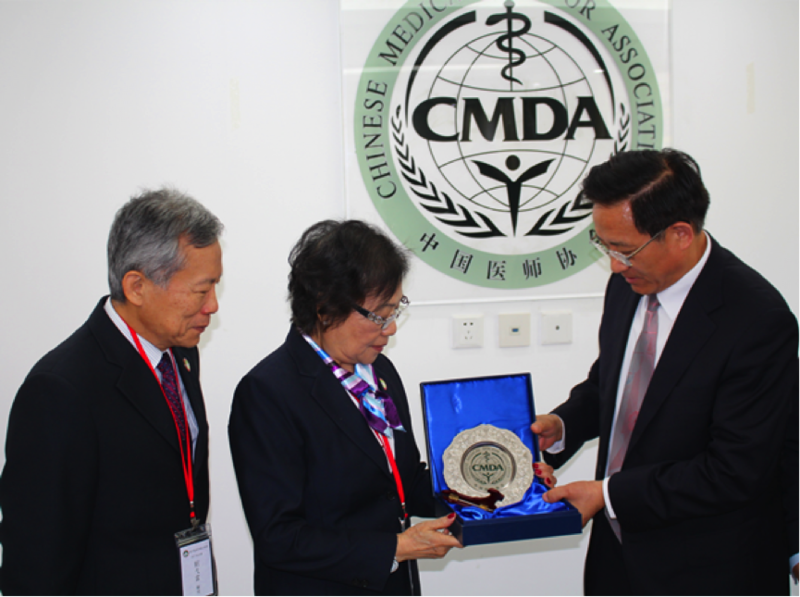 On April 15, 2017, a delegation of 20 from the Macau Medical and Health Federation led by Xiaojin Luo , visited the Chinese Medical Doctor Association. The Ministry of Culture and Education Deputy Director Jing Xia also joined the visit. 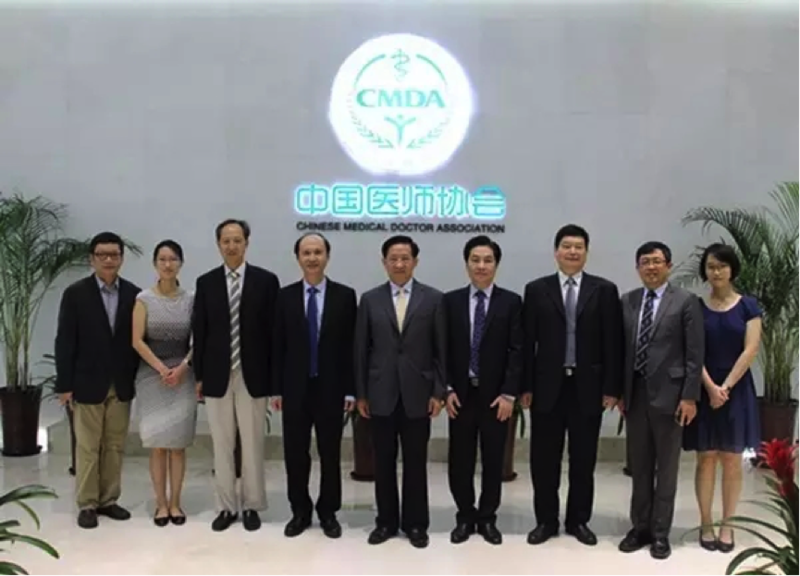 CMDA President Yanling Zhang ,consultant Zhongjun Cai, Director of office and outreach Department Liying Shi attended the meeting. 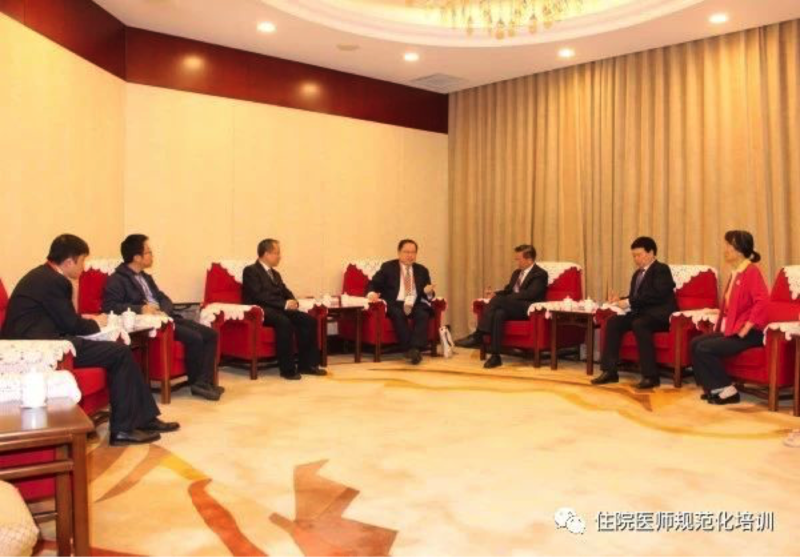 Mr. Cai first briefly introduced the the Chinese Medical Doctor Association to the guests. 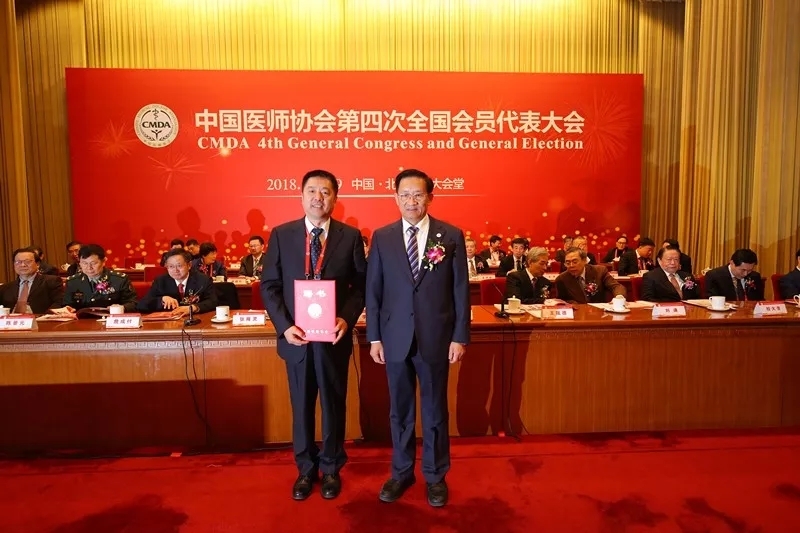 President Luo expressed his gratitude for the warm reception of the Chinese Medical Doctor Association and introduced the purpose, organizational framework and functions of the Macau Medical and Health Federation and the work activities. Vice President Shunfa He and Vice President Hongxing Zhong spoke highly of the achievements made by the Chinese Medical Doctor Association in strengthening physicians’ self-discipline and promoting the harmonious development of doctor-patient relationship in recent years, and gave a detailed account of the achievements of Medical accident identification, medical dispute mediation and other aspects of the association of medical affairs of the Macau Medical and Health Federation, hope to be able to get the support and guidance of the Chinese Medical Doctor Association. The delegation also made a detailed understanding of the work of the Chinese Medical Doctor Association in terms of government in the government delegation, the regular assessment of doctors and the precision medical treatment. President Yanling Zhang spoke highly of the contribution made by the Macau Medical and Health Federation to promote academic exchanges between the Macao region and the Mainland medical profession and promote the development of medical and health undertakings in Macao. 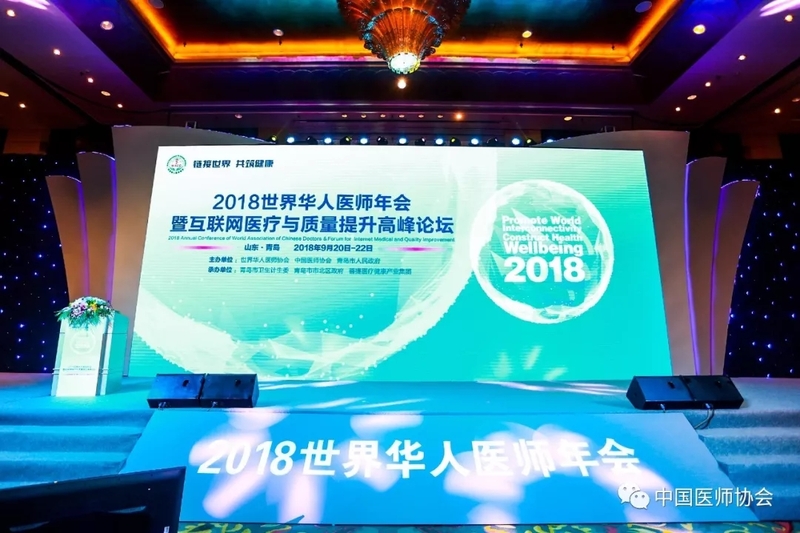 Yanling Zhang President pointed out that China is currently in the best period of development of health, health and health work has risen to the national priority development strategy, and as China’s deepening reform, more government functions to the community, to The industry organization. Therefore, the current is also a great opportunity for the development of trade associations. As a national industry organization, we are working on the three major tasks of physician industry standardization and management, physician education and training, and physician team’s rights and self-discipline. We strive to build the association into a government assistant , Contact the community with the bridge link and serve the doctor’s close friend. 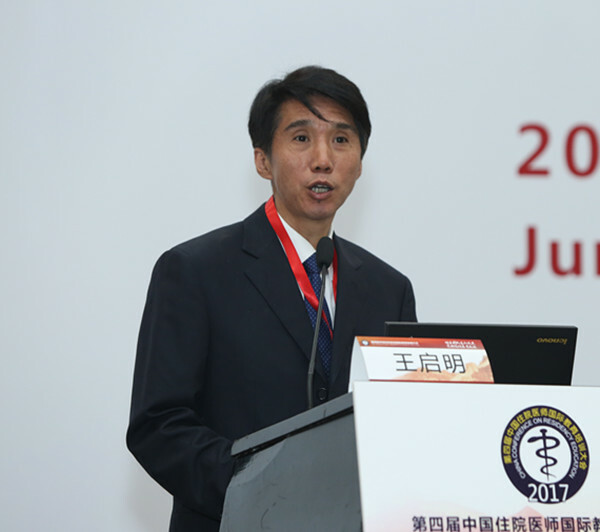 President Yanling Zhang hopes that the Macau Medical and Health Federation will be able to establish a closer relationship with the Chinese Medical Doctor Association, regular communication, deepen cooperation, multi-faceted academic exchange seminars and jointly contribute to the development strategy of “healthy China”. 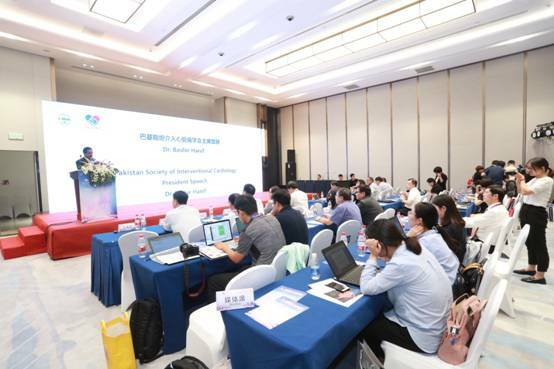 Organized by Chinese Medical Doctor Association, Peking University First Hospital and The Royal College of Physicians and Surgeons of Canada (RCPSC), the 4th Conference of China Residency International Education was held in Beijing from June 15th to 17th. Canadian Prime Minister Trudeau sent a greeting letter to the conference. The opening ceremony was in the morning of June 16th. Mr. Zhang Yixin, Deputy Director of the National Health and Family Planing Commission, Mr. Zhang Yanling, President of the Chinese Medical Doctor Association, Liu Yucun, Secretary of the Party Committee of the Peking University Medical School, and Mr. Qin Huaijin, Director of the Department of Science and Education of the National Health and Family Planning Commission, Director of Education Wang Qiming, Dean of the First Hospital of Peking University Liu Xinmin, Dr. Andrew Padmos, Chief Executive Officer of Royal College of Physicians and surgeons of Canada, Vice President of the Accreditation Council of Graduate Medical Education (ACGME) Dr Stanley J Hamstra attended the meeting. 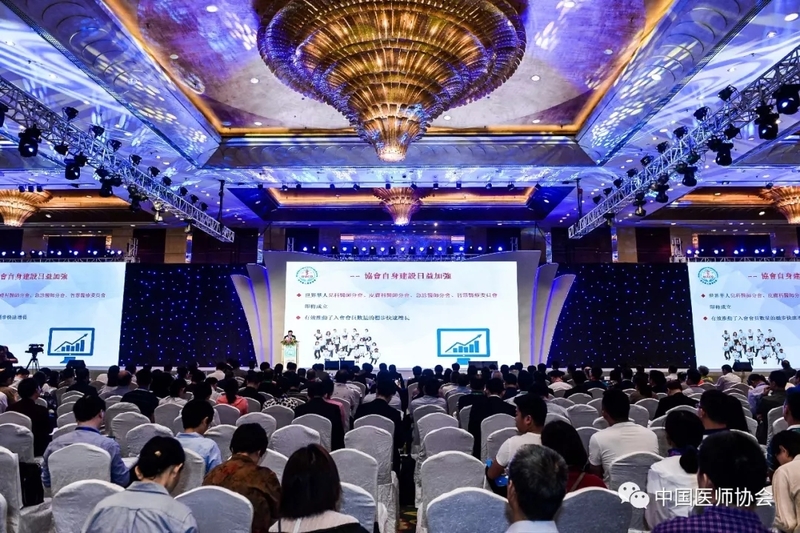 More than 800 people including provincial health and family planning administrative departments, the management staff and instructors attended the opening ceremony, which was hosted by Chinese Medical Doctor Association Vice President Qi Xuejin. 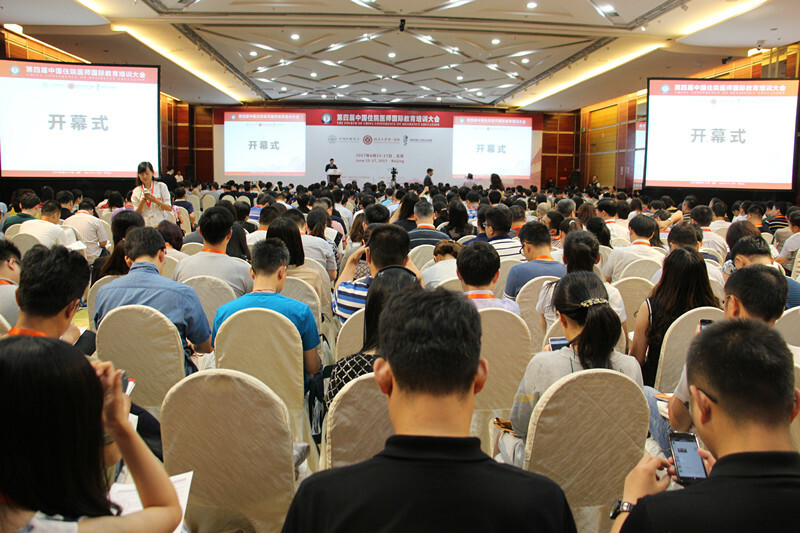 CCRE successfully held three sessions in Beijing from 2014 to 2016. It provides the experience and practice of international practice for the standardization training of resident physicians (hereinafter referred to as living training). The theme of this conference is to focus on how to do high-quality clinical teaching, formative evaluation, training improvement, process management, graduation examination and so on. Zeng Yixin: Quality is the lifeline of standardized training for residents. 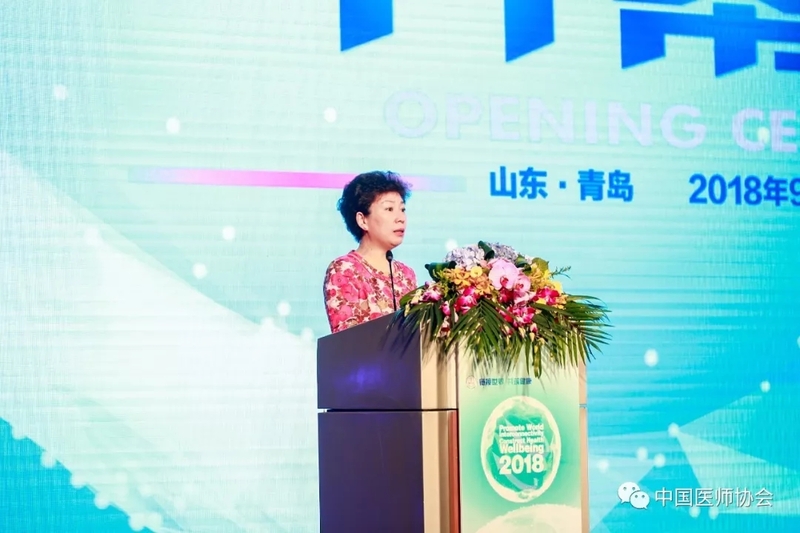 Zeng Yixin, deputy director of the National Health and Health Commission, expressed warm congratulations on the success of the conference on behalf of the National Health Commission. He said, especially thanks to the Chinese Medical Doctor Association led by President Zhang Yanling, for the Chinese resident physician training and medical education done a lot of work. 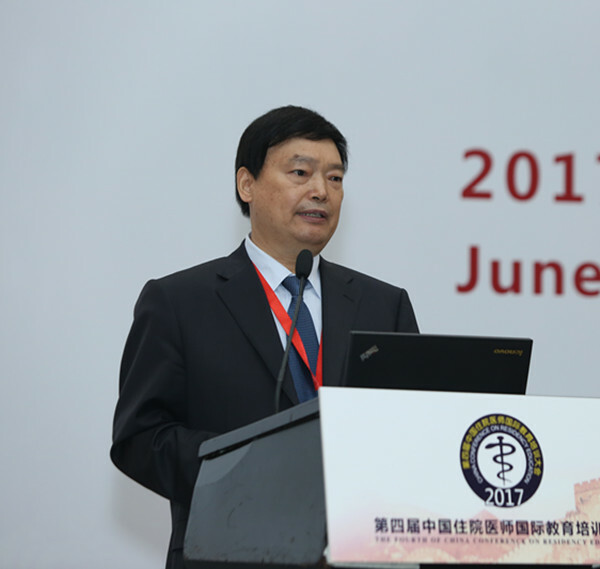 Zeng Yixin, deputy director, said that from 2013 onward, officially launched the training of Chinese residents, the initial practice has proved that the standardization of resident training to improve the quality of doctors, especially to enhance the homogeneity of doctors have a very big help. On the basis of the initial success of the standardized training of resident physicians, at the end of 2016, the Chinese medial doctor association organized the first selection of three specialties for the implementation of the 8 departments’ guidance on the pilot training system for specialized doctors. 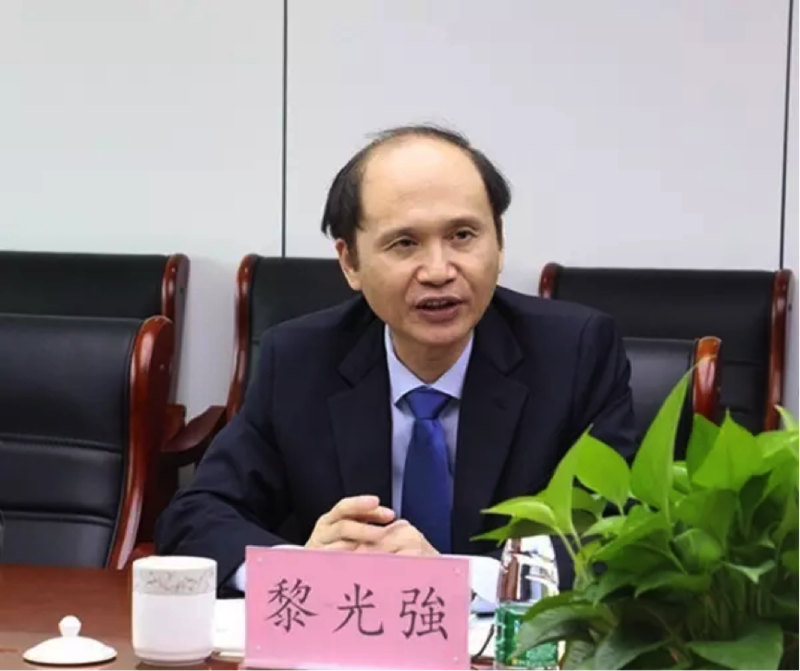 In view of the current hot spots on the special training pilot, Zeng Yi new deputy director said that the birth and maturity of any new thing, need a process, hope that the Ministry of Science and Technology and the Chinese medial doctor association to work together to the top of the specialist training and Related supporting policy formulation is good. The strict requirements of the training base, the need to implement the treatment of resident training. 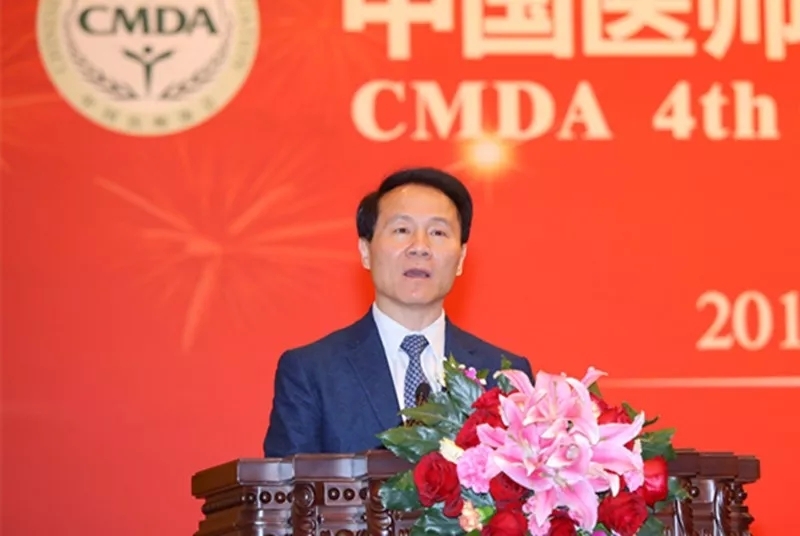 Chinese medial doctor association to increase the assessment efforts, from teacher management to process management, student treatment in all aspects of the training base must be strict requirements. For those who do not meet the requirements, to be a yellow card warning, even red card revoked. Zeng Yixin, deputy director stressed that we must be aware of the quality of resident training is the lifeline of standardized training, so this meeting closely around the quality of live construction of the major issues to study, highly targeted, for the development of international vision, to enhance the quality of living in China Significance. I hope you in-depth exchanges, careful study, full communication for the construction of our resident training system to contribute. Zeng Yixin, deputy director, said China and Canada, the two countries face many common problems, there are many experiences, you can learn from each other and learn. The Chinese government attaches great importance to friendly relations with Canada and hopes that China and Canada will achieve greater achievements in cooperation in the field of medical education. Zhang Yanling, president of the Chinese Medial Doctor Association, expressed warm congratulations to the convening of the conference. He pointed out that we should actively promote the international cooperation and exchange of living training, and build a training platform for cooperation between China and Canada, China and the United States. Royal Canadian Institute of Internal Medicine and Surgeons has a long history, is a national non-profit academic organization in Canada, responsible for more than 80 specialist and sub-specialist training standards and training base of the assessment and certification work. Their first 1996 “Doctor Competency Training” model, which has become the core concept of post-graduate medical education in Canada, is widely used in residency training and physician continuing education. Medical organizations in the world have made a lot of fruitful explorations in the cultivation of physicians. We should extensively draw on advanced experience and advanced concepts to promote the cultivation of high quality talents of our country and the global residents. 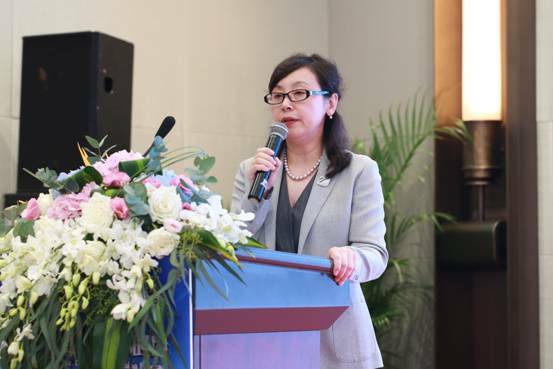 Zhang Yanling President suggested that CCRE as an international exchange platform for Chinese resident physicians to disseminate the advanced concepts and methods of residency training, to provide reference for international and domestic experience, and achieved fruitful results. Chinese medial doctor association and Peking University Hospital will work with Canadian friends and colleagues to better cooperation . 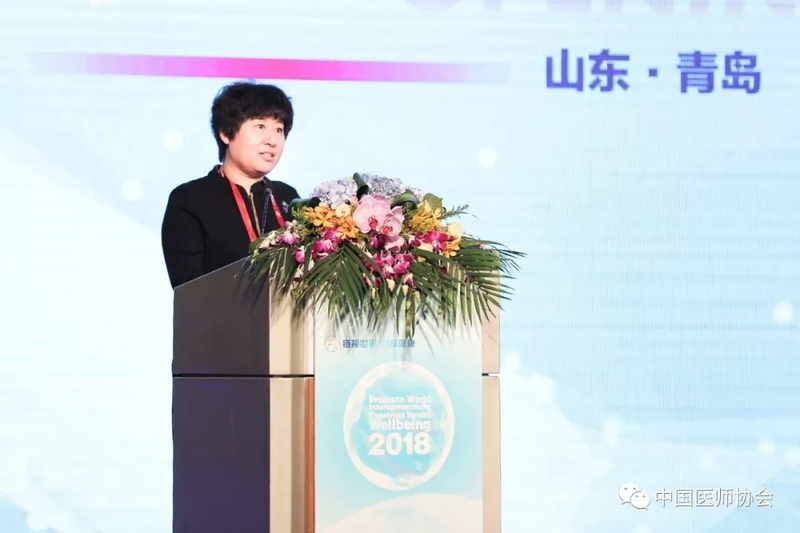 Zhang Yanling President pointed out that the core of the training is to do a good job training quality, improve the doctor’s post competency, is the current talent team building among the top priority, but also a top priority. But because of the late establishment of the system, the level of economic and social development and other factors, there are still some problems. The Chinese Physicians Association will play the role of association in the industry in accordance with the unified arrangements and requirements of the National Health Commission, and gather together the strength and wisdom of experts and industry to work hard with the training base to promote the quality of living and live. While paying attention to the work of the training, we will pay more attention to some of the problems in the training of the specialist training, and we will work with the Science and Education Department of the State Health Education Commission to make this work healthy and smooth. Advance. The Canadian ambassador to China, Mr. McGavan, first expressed his best wishes from the Prime Minister of Canada for the congratulatory message of the General Assembly. Next, it elaborates the friendly relations between China and Canada. He said that when he met with President Xi Jinping, on behalf of Prime Minister Trudeau to convey to President Xi Jinping three “more”, that is, more cooperation, more exchanges, “more” that we in all areas of more Cooperation, including trade, economy, climate change, the most important is the cooperation in the medical field. He congratulated him on the effectiveness of CCRE. He said Canada and China have reached 600 hospitals, equivalent to or exceed the total number of Canadian hospitals; there are about 33 cooperation agreements on health in the two countries, including cooperation with the Canadian Royal College of Internal Medicine and Surgeons. In recent years, witnessed the cooperation between China and Canada in the field of health, cooperation is very wide space. 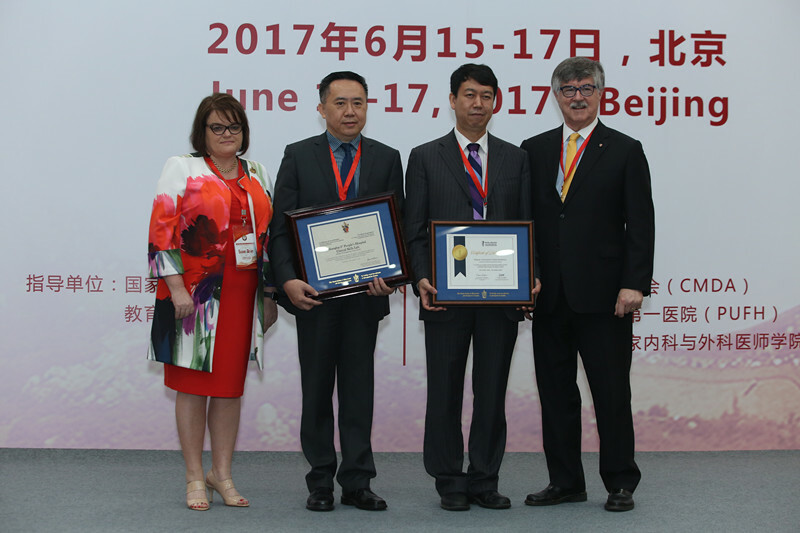 At the opening ceremony, Ms. Susan, Vice President of the Royal Canadian Institute of Internal Medicine and Surgeons, issued the certificate of the Royal Canadian Institute of Internal Medicine and Surgeons, the first hospital of Peking University, and issued a simulation project for the Sixth People’s Hospital of Shanghai Jiaotong University. Certificate of accreditation. Susan said that the ability of these institutions to meet international standards is not easy, need insight, need passion, need enthusiasm, need tough, but also need a lot of hard work. After the opening ceremony, into the special report stage, the State Health and Social Sciences Commission Director of Science and Education Qin Huaijin on the standardization of resident training system to carry out the work of the progress. He pointed out that live culture as a new system that has just undergone three years, it is necessary to affirm achievements, but also to face up to the problem, to the quality and treatment as the core, pay close attention to implementation. Dr. Stanley J. Hamstra, Vice President of the Postgraduate Medical Education Accreditation Board of the United States, presented a report on the “Quality of Training of Medical Education after Graduation”, a presentation on medical education models after graduation in the United States and Canada, and a career-oriented medical education, milestone Evaluation system, etc. to elaborate. Andrew Paddam, Chief Executive Officer, Royal College of Physicians and Surgeons of Canada. Three sessions, through the special reports, seminars, seminars and workshops and other forms, exchange and study the latest progress of domestic and international training and successful practices, and strive to close to the international forefront, to show the latest content. (RCPSC) and the United States ACGME more than 10 international top medical education experts invited to make a speech for the General Assembly; Peking University First Hospital and more than 10 domestic training base, nearly 40 experts in the General Assembly of different Sub-venue to communicate. On January 7, 2017, the Chinese Medical Doctor Association 2017 physician annual meeting and the Chinese physician team Construction and Development Forum held in Beijing. 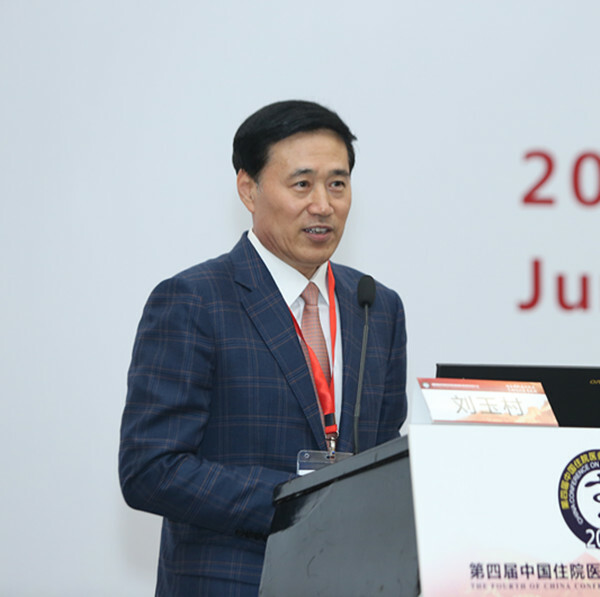 The President of Chinese Medical Doctor Association Zhang Yanling presented the report: “play the role of industry organizations to promote the construction of physician team”at the meeting.